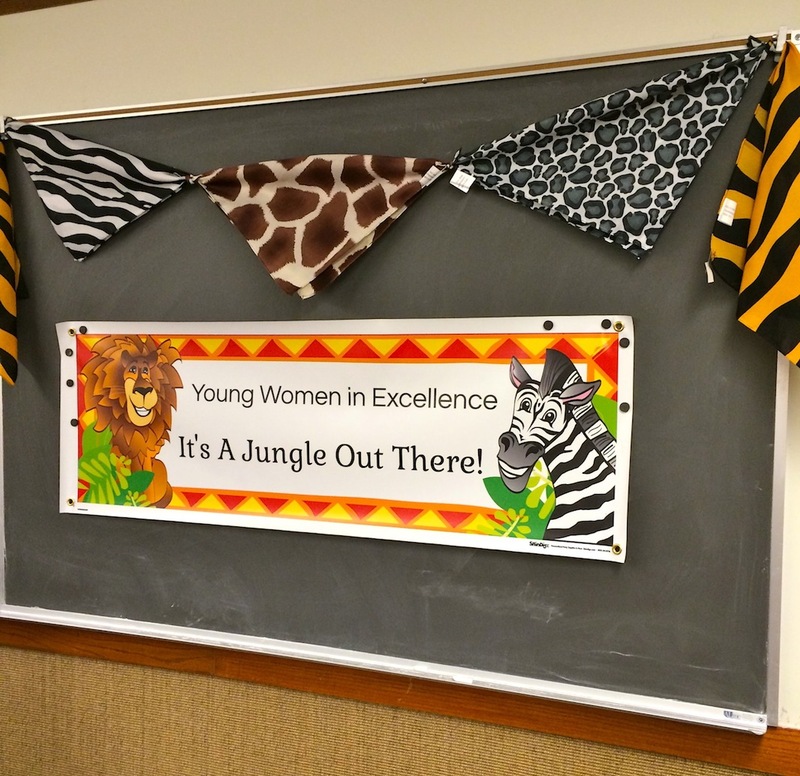 Young Women in Excellence, Young Women’s year-end recognition program for the Kansas City First Ward, Kansas City Missouri Stake was held October 29, 2014. 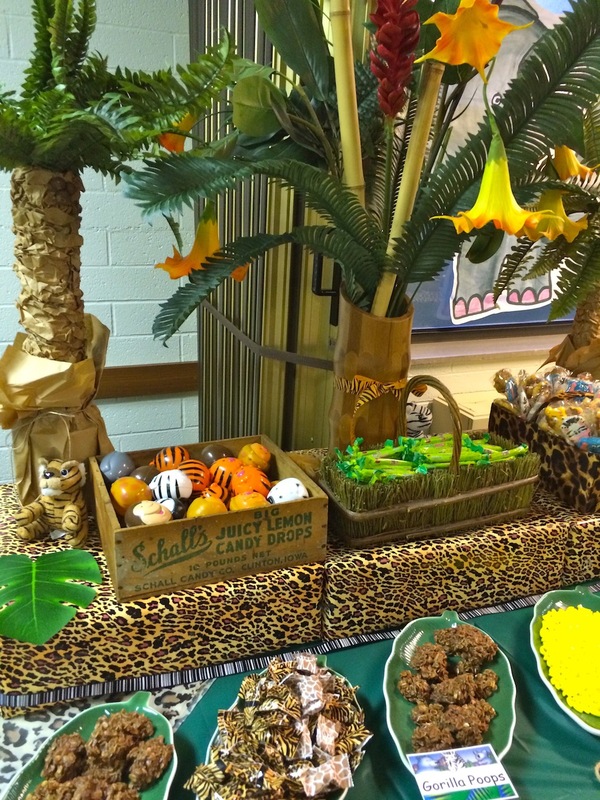 The theme for the event was “It’s a Jungle Out There” and we really did it JUNGLE! 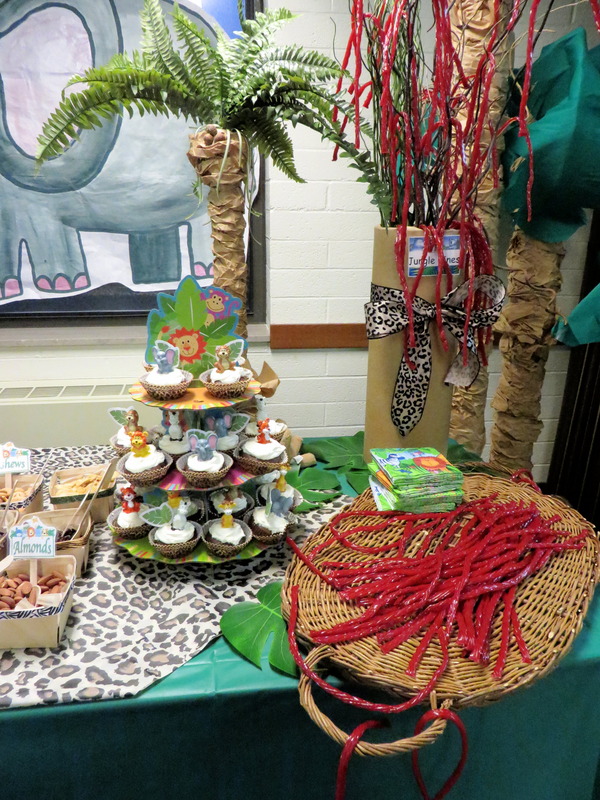 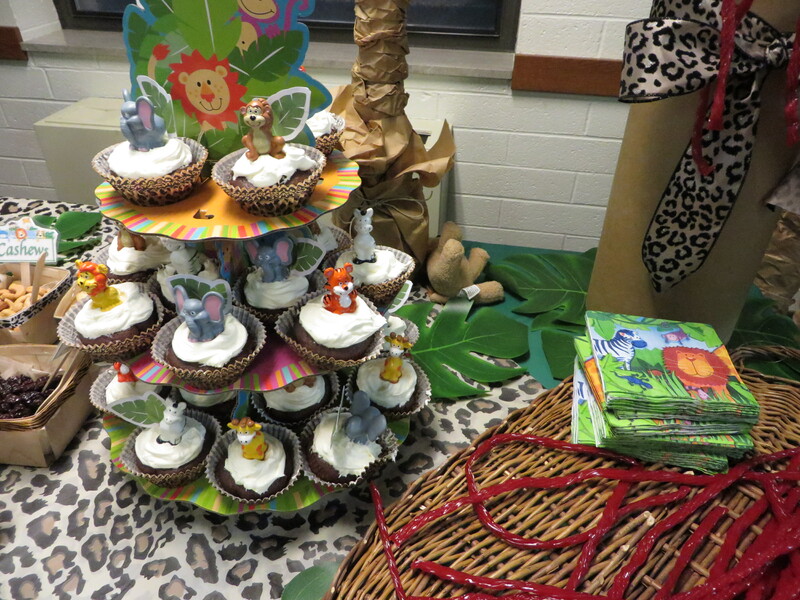 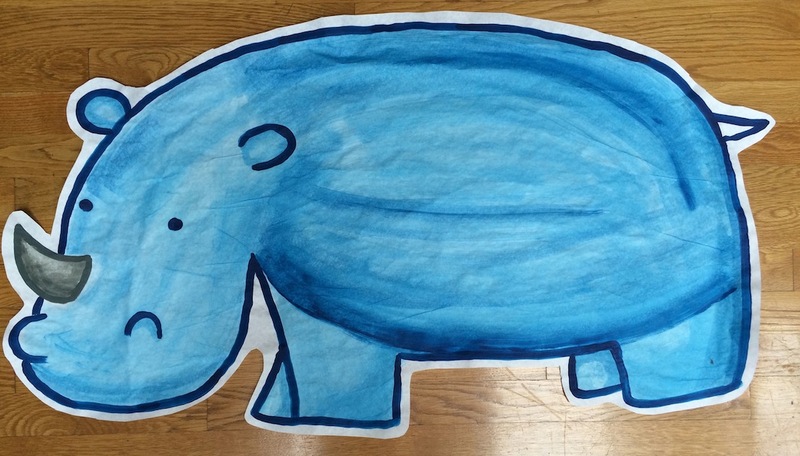 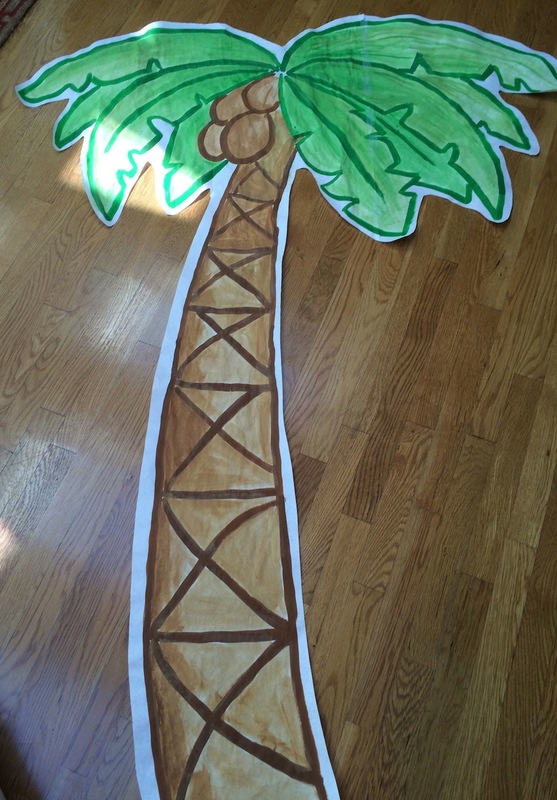 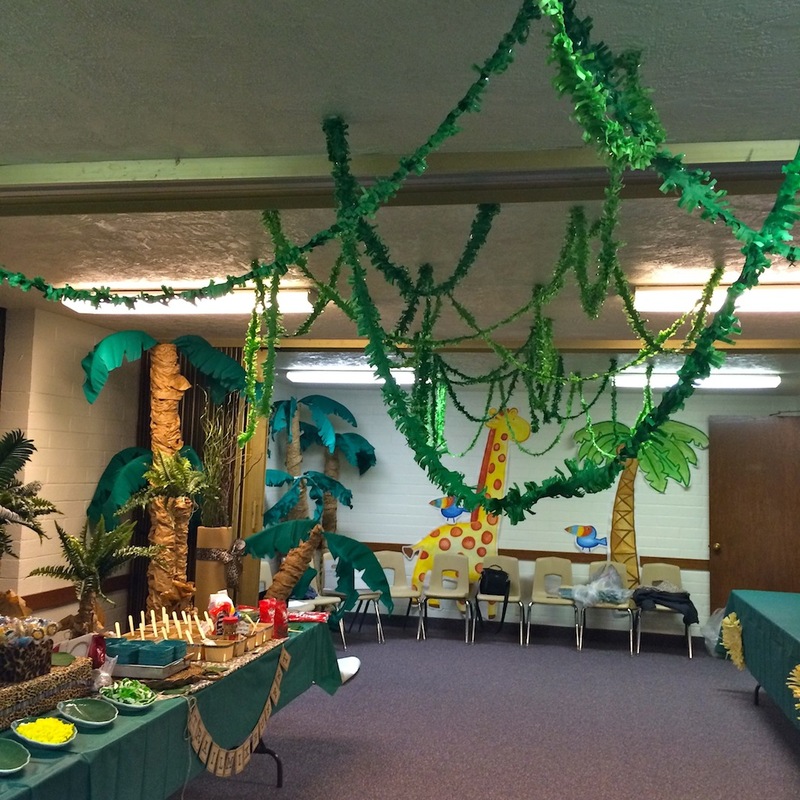 We decorated with palm trees, vines and large jungle animals. 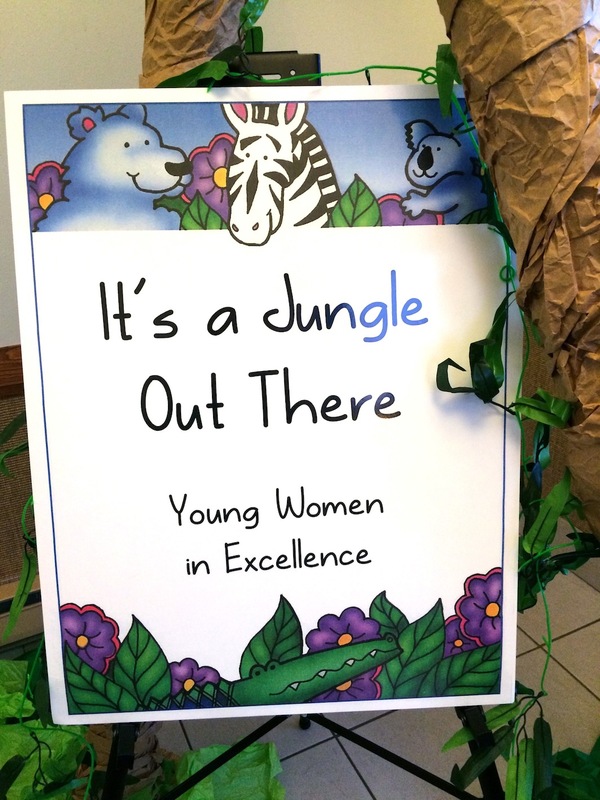 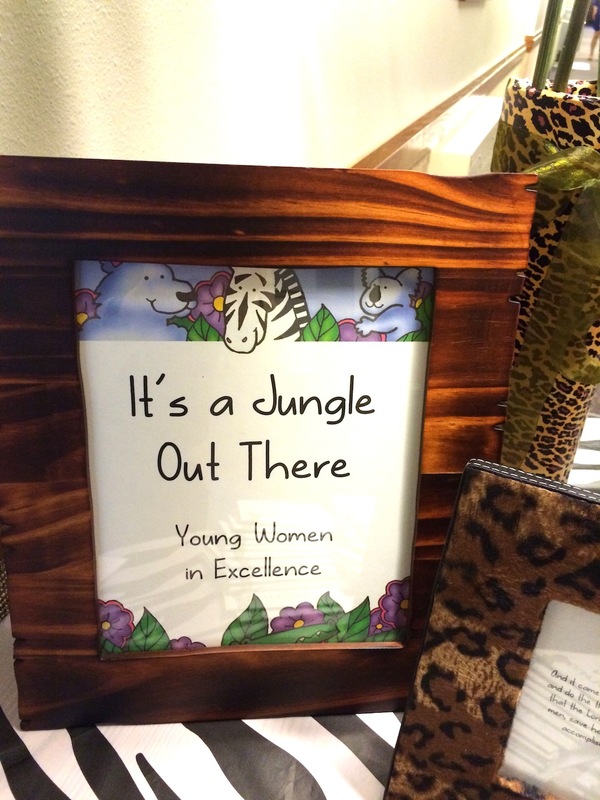 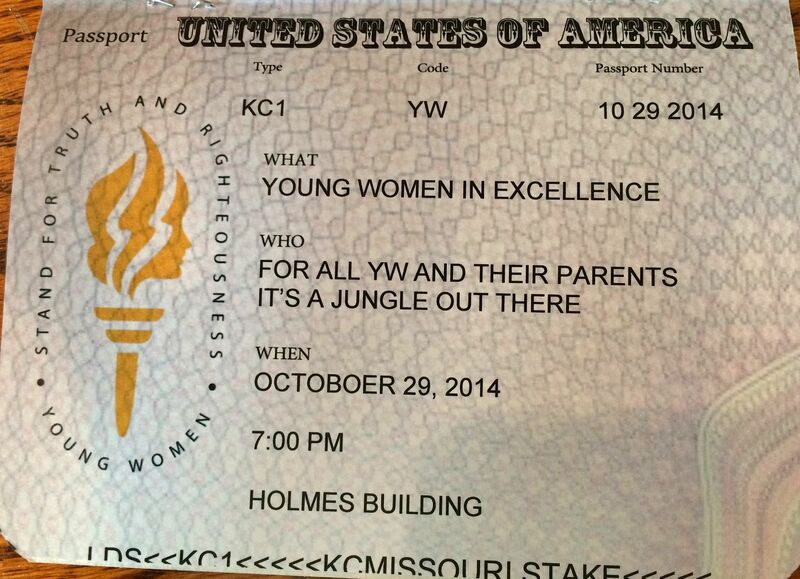 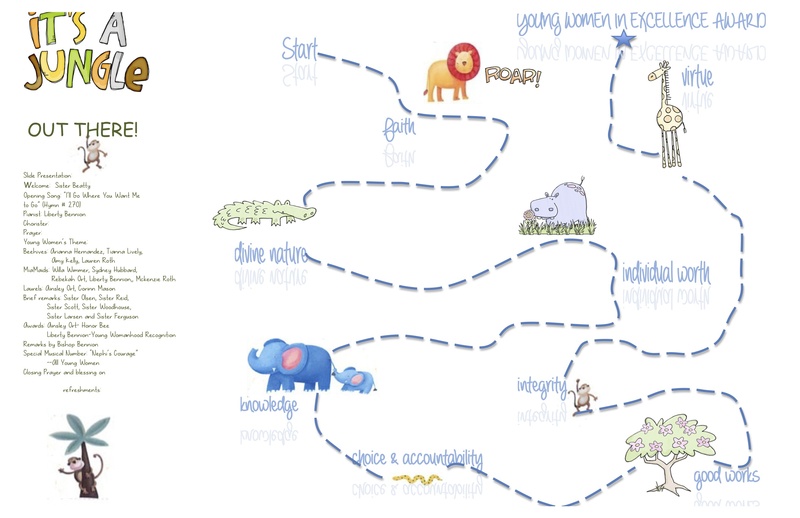 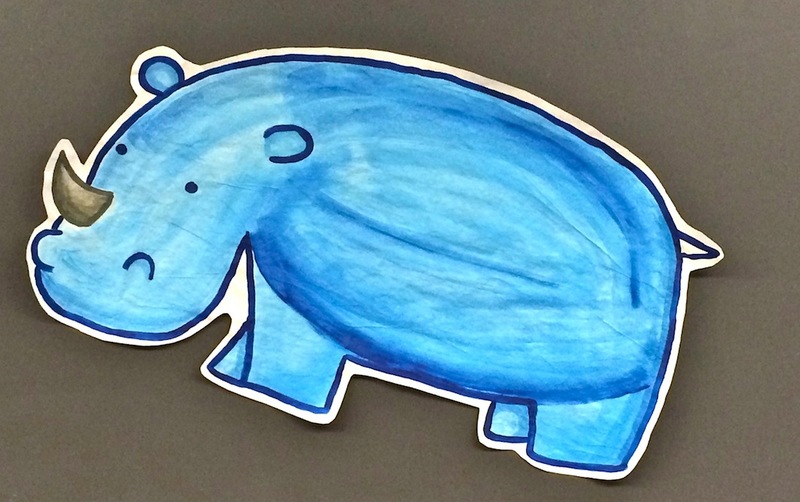 Young Women in Excellence 2014 “It’s A Jungle out There”. 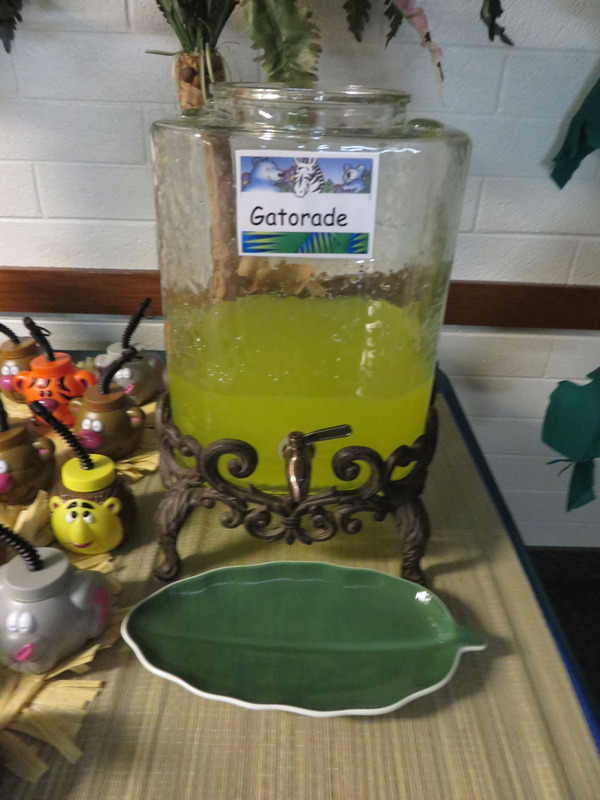 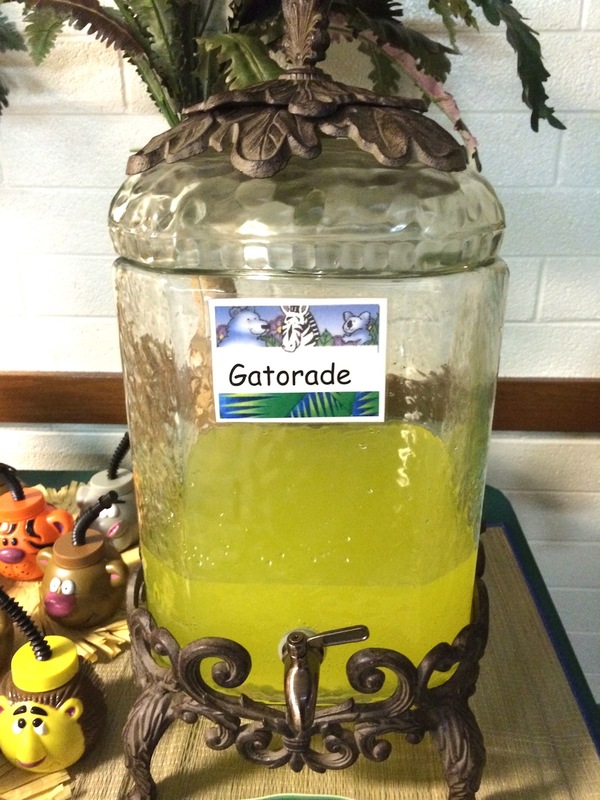 For refreshments we had an oasis with a “water”ing hole and gatorade. 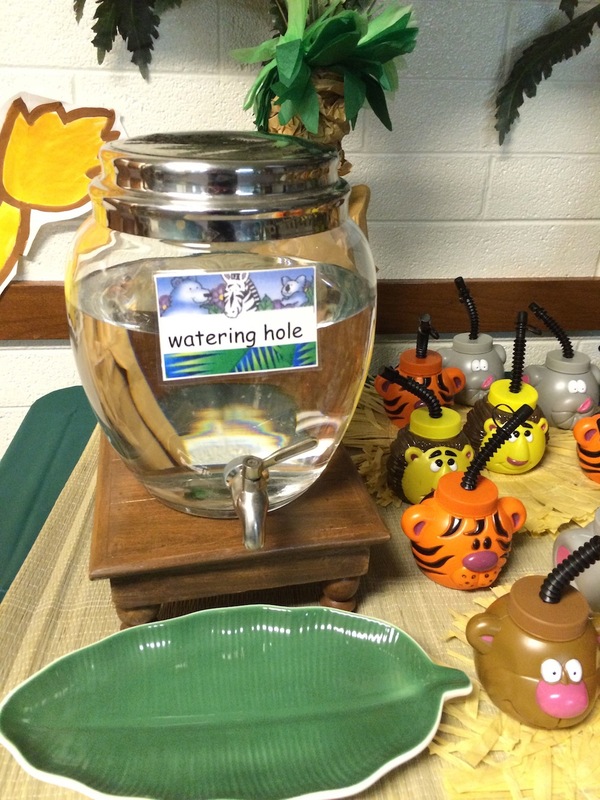 Jungle animal water bottles were used. 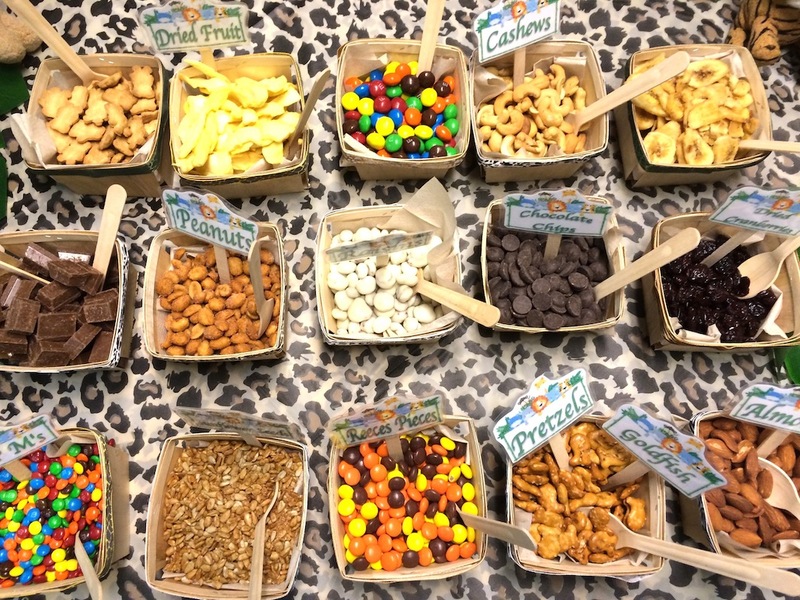 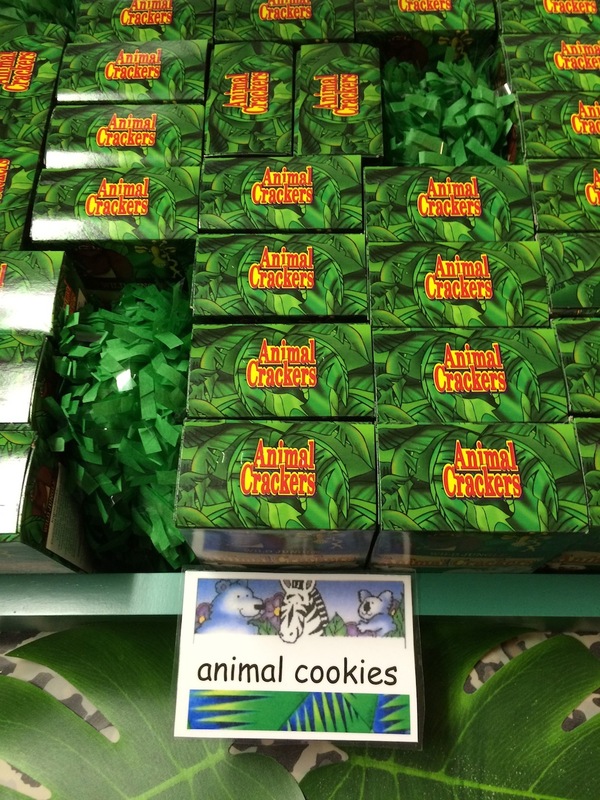 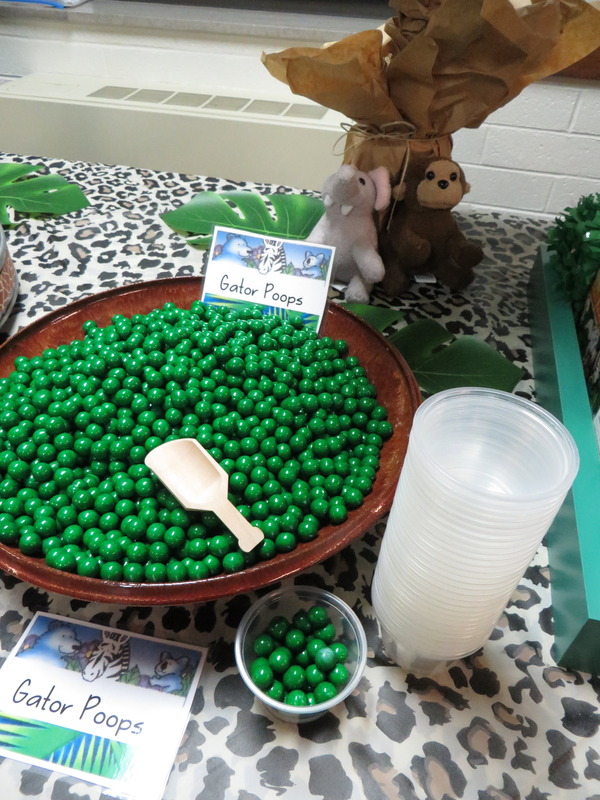 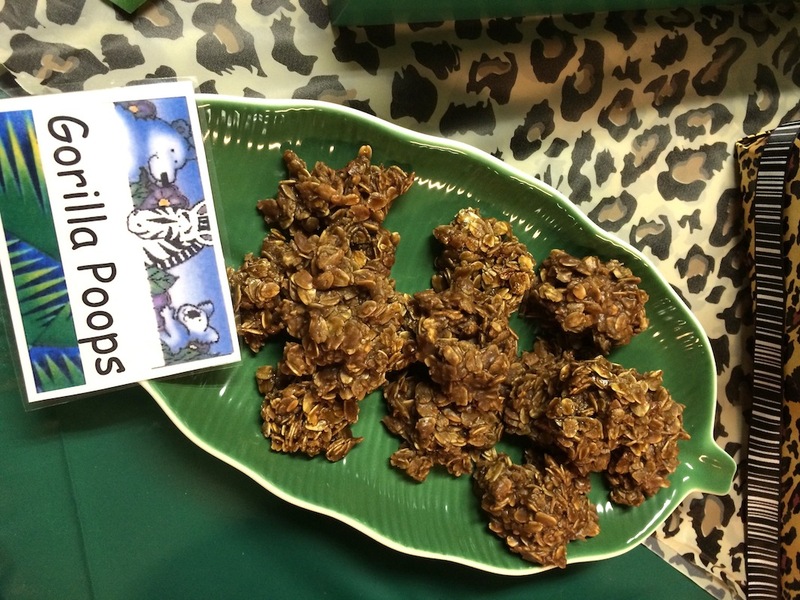 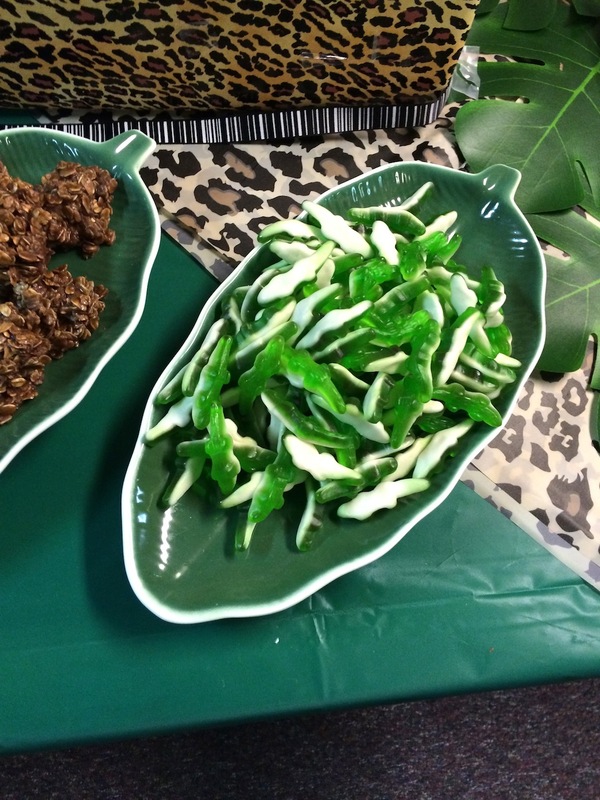 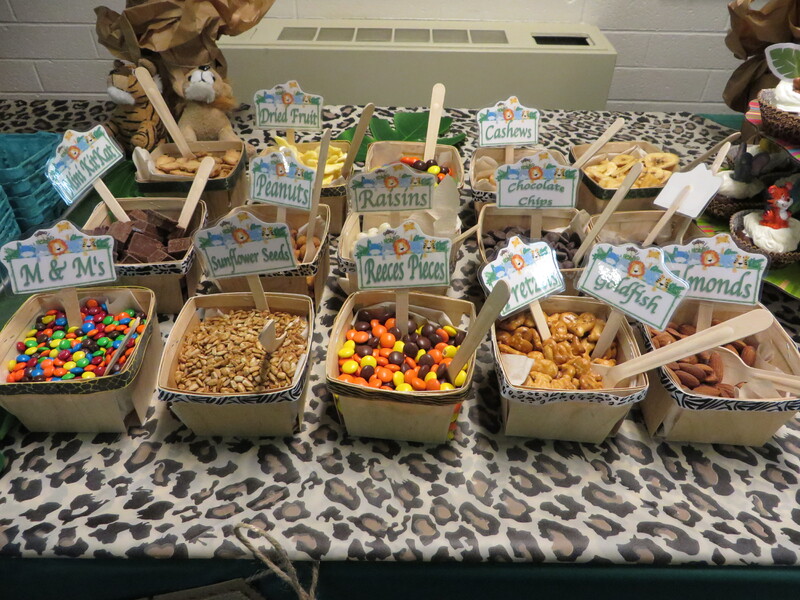 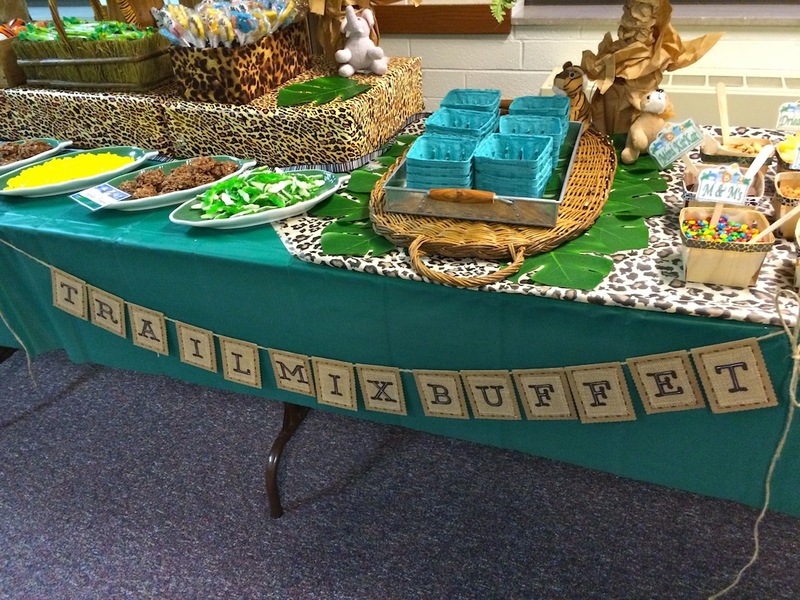 Refreshments included: “Animal Cookies”, “Gorilla poops” (no-bake cookies), “Frogs in Grass” (frog gummys with sour apple licorice straws and spearmint leaf gumdrops, “Gator Poops” (green sixlets), “Jungle Vines” (licorice), Cupcakes with animal topper, Banana Candy, Gator Gummies, jungle animal eggs with candy, jungle mints, Jungle Jollies candy and a TRAIL MIX BUFFET. 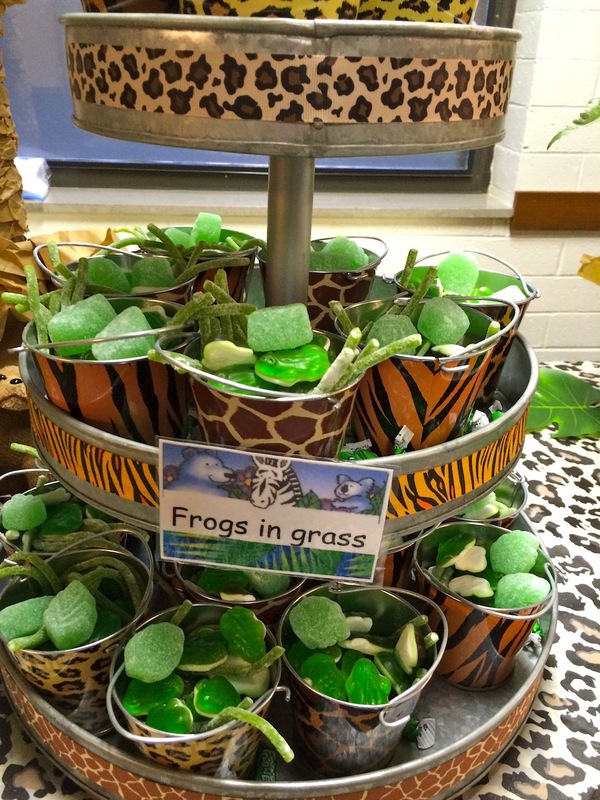 “Frogs in Grass” (frog gummys, apple sour licorice straws and spearmint leaf gumdrops). 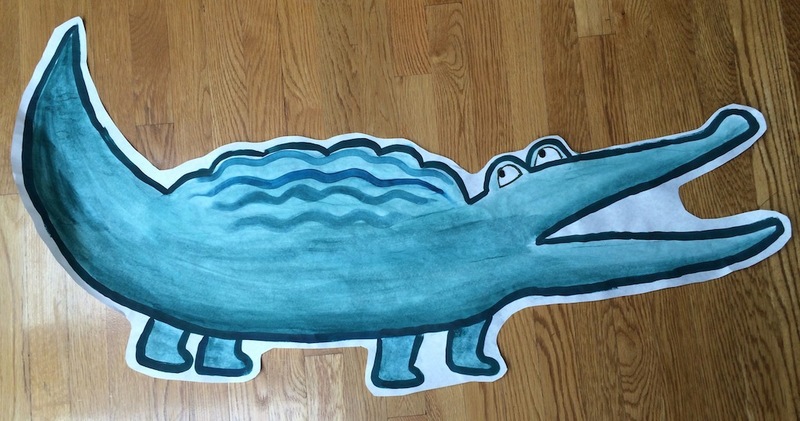 It was printed on 11 x 17 inch paper. 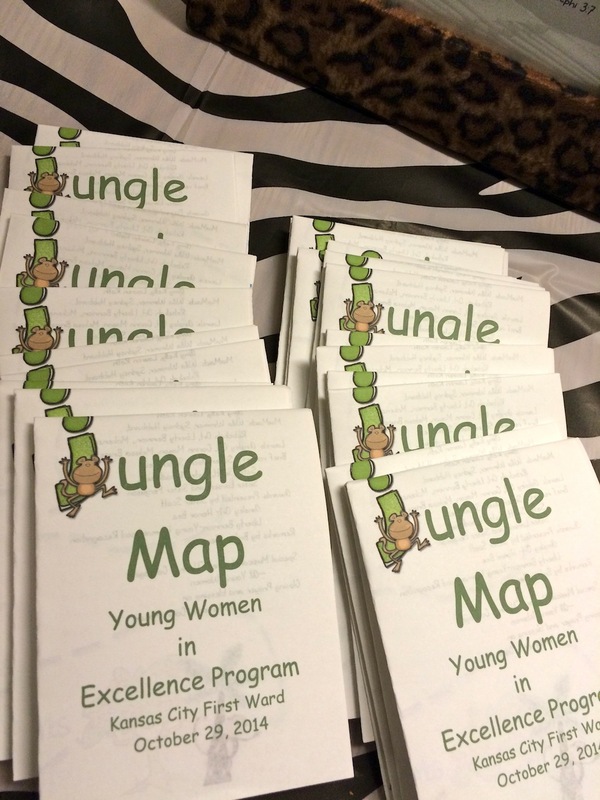 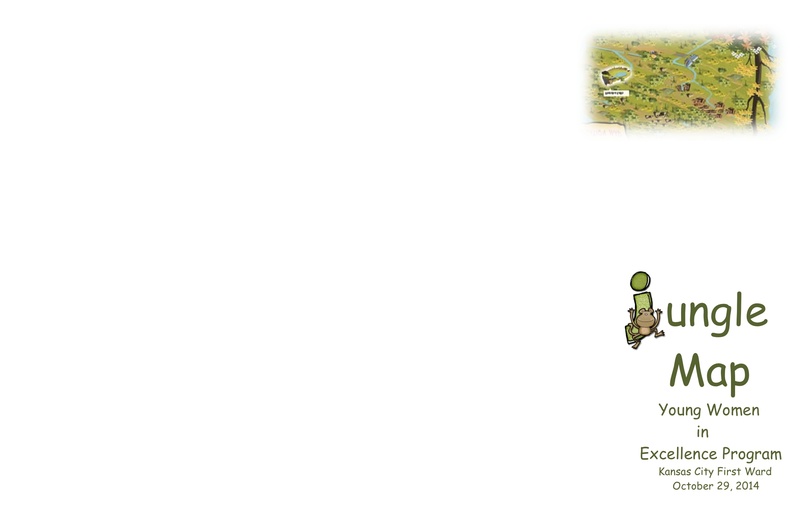 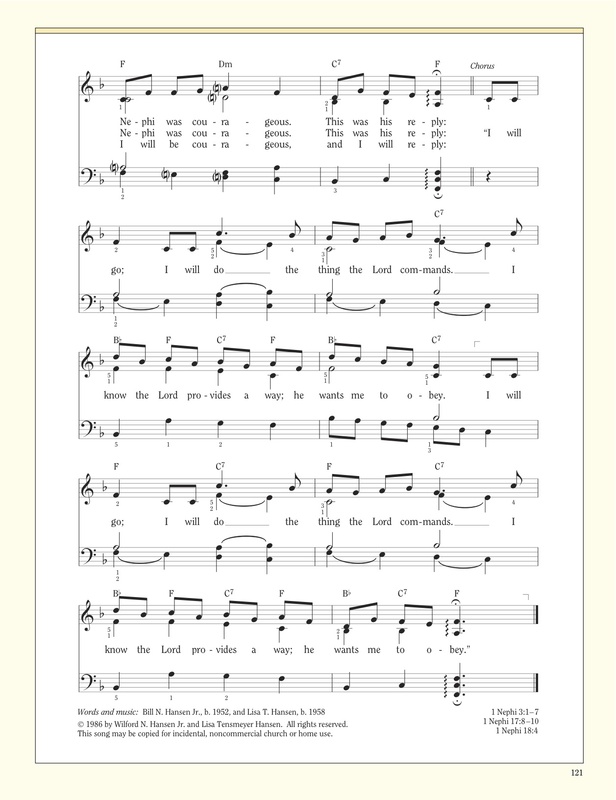 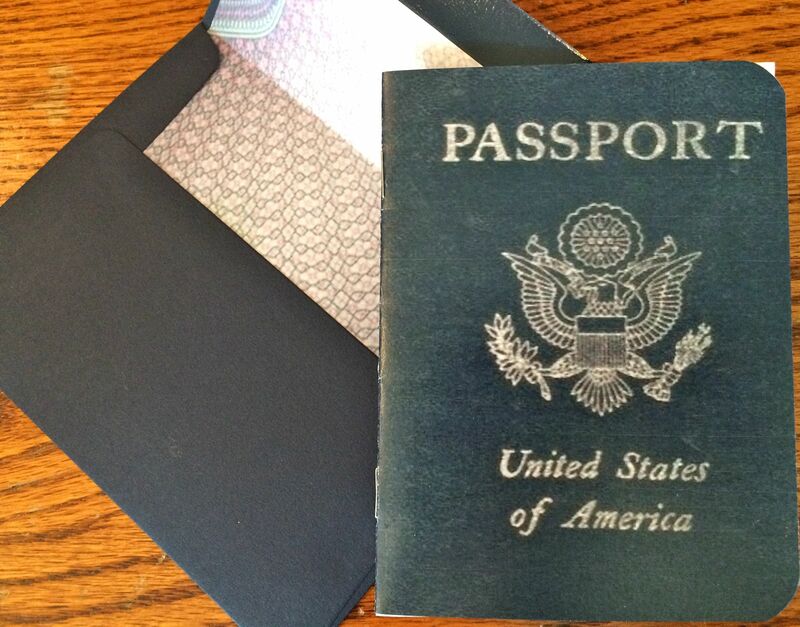 And then folded like a map for the program. 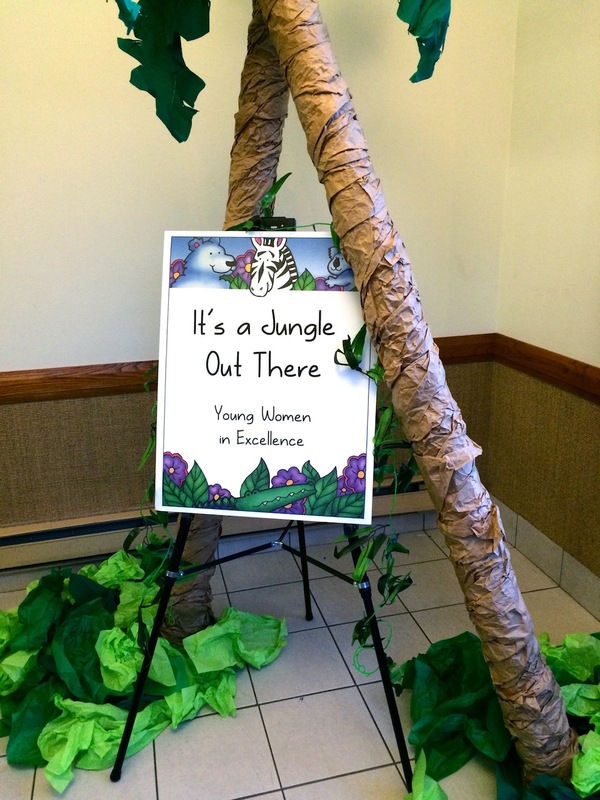 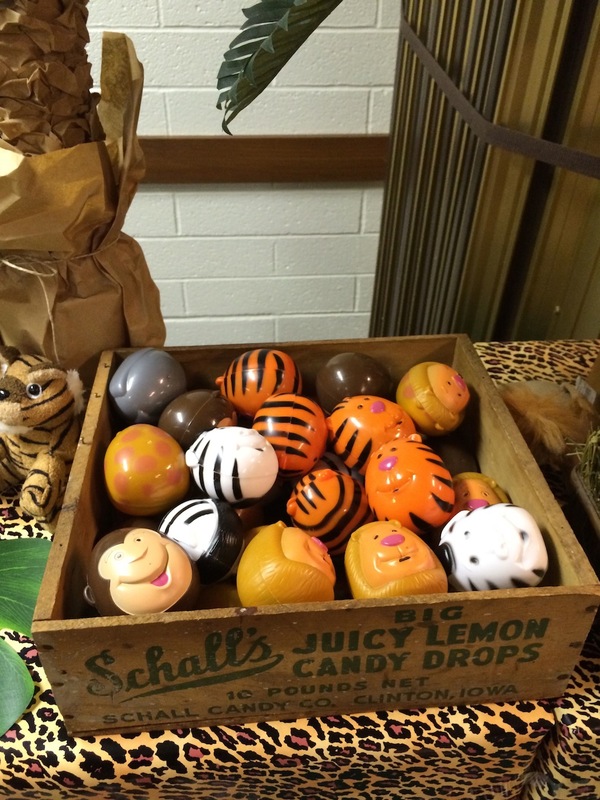 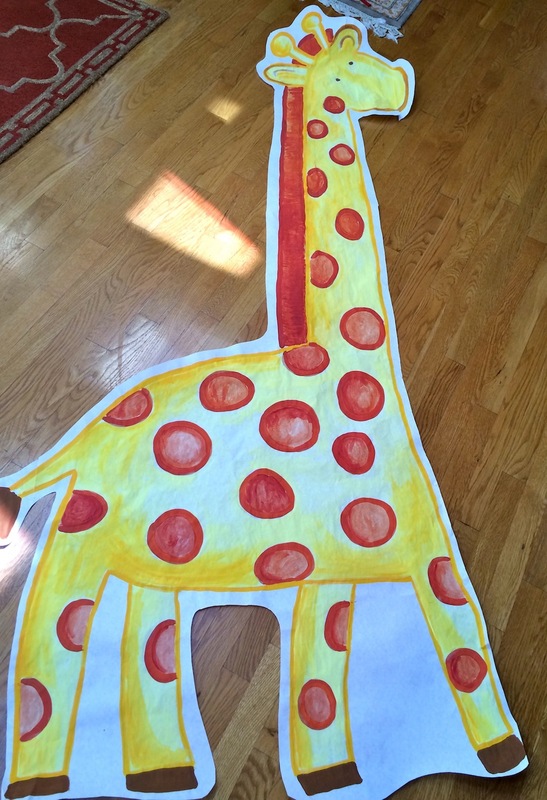 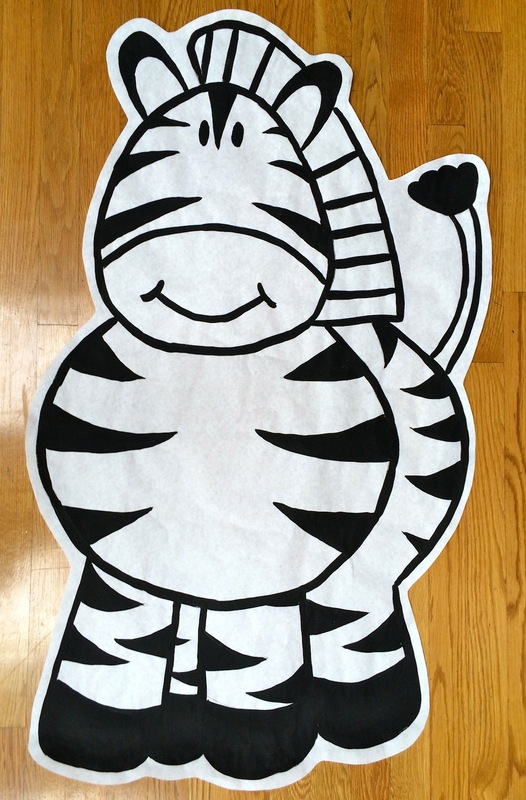 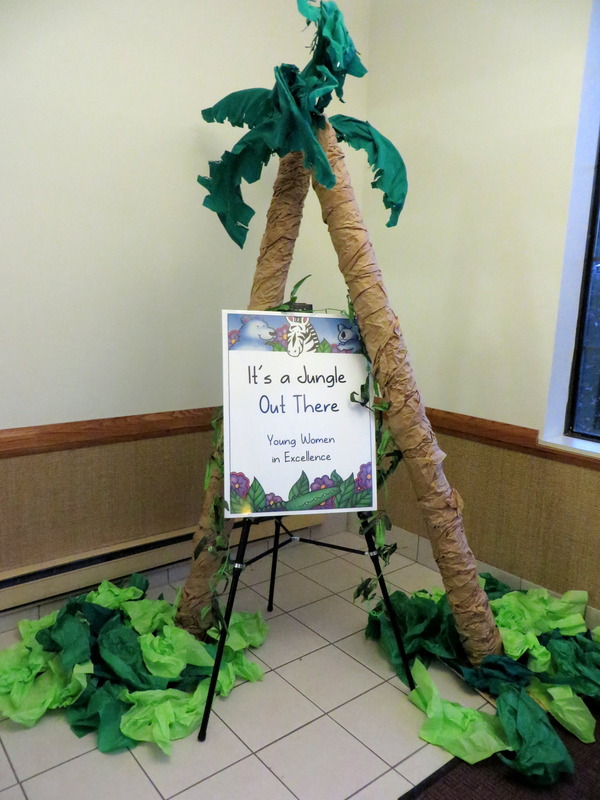 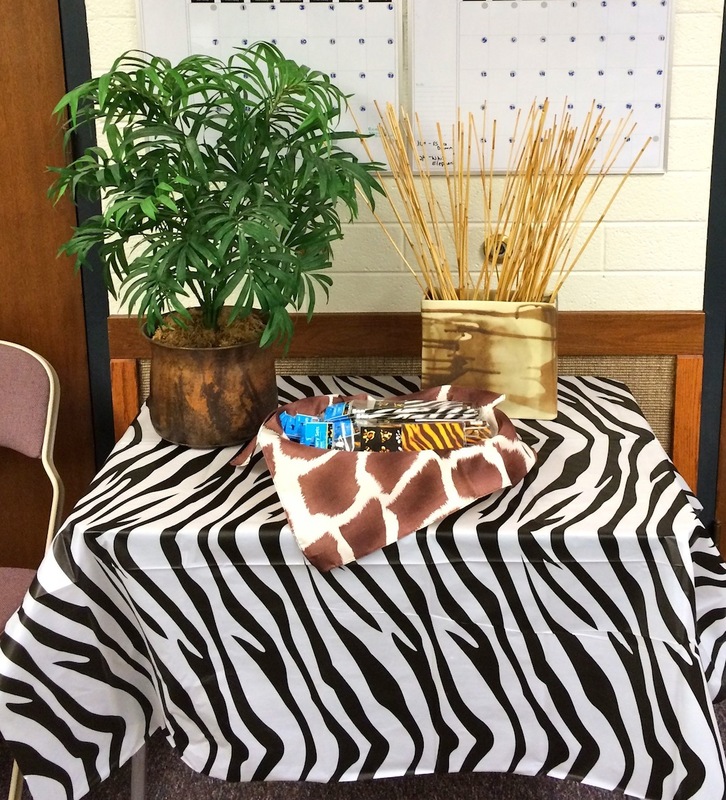 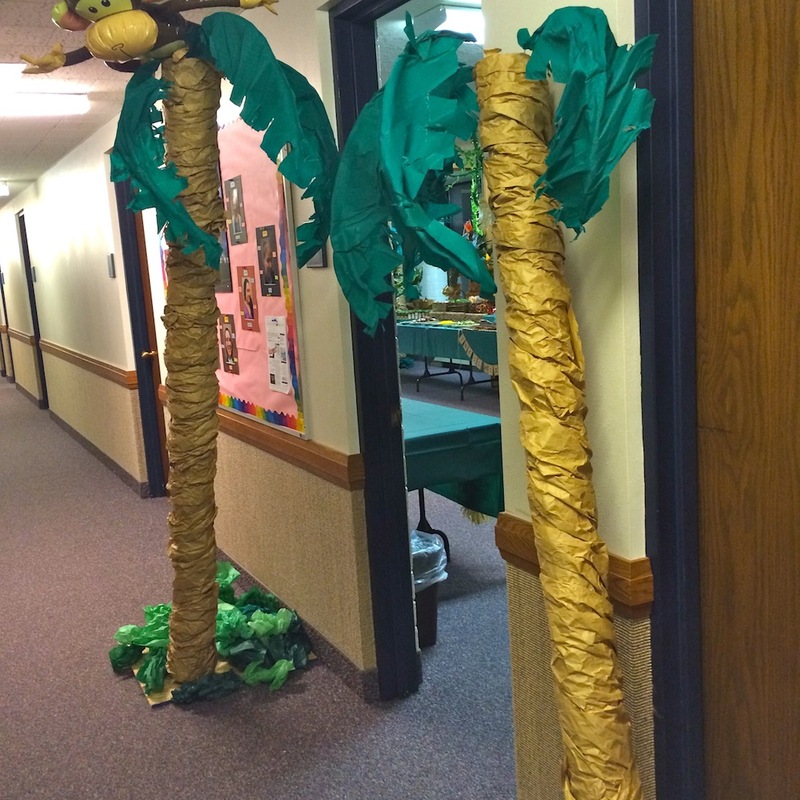 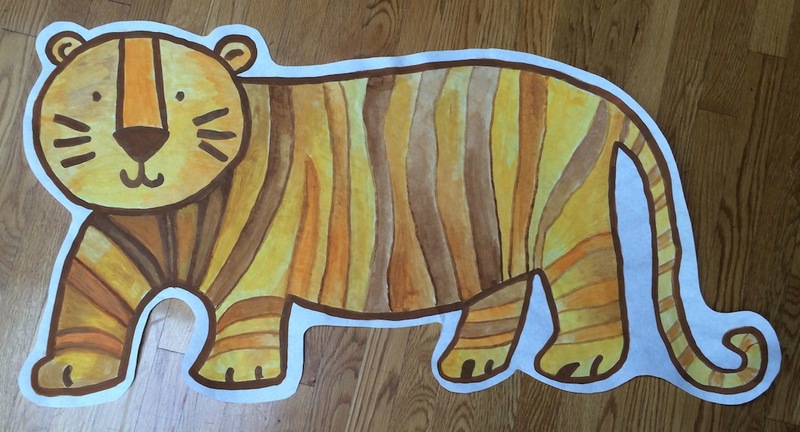 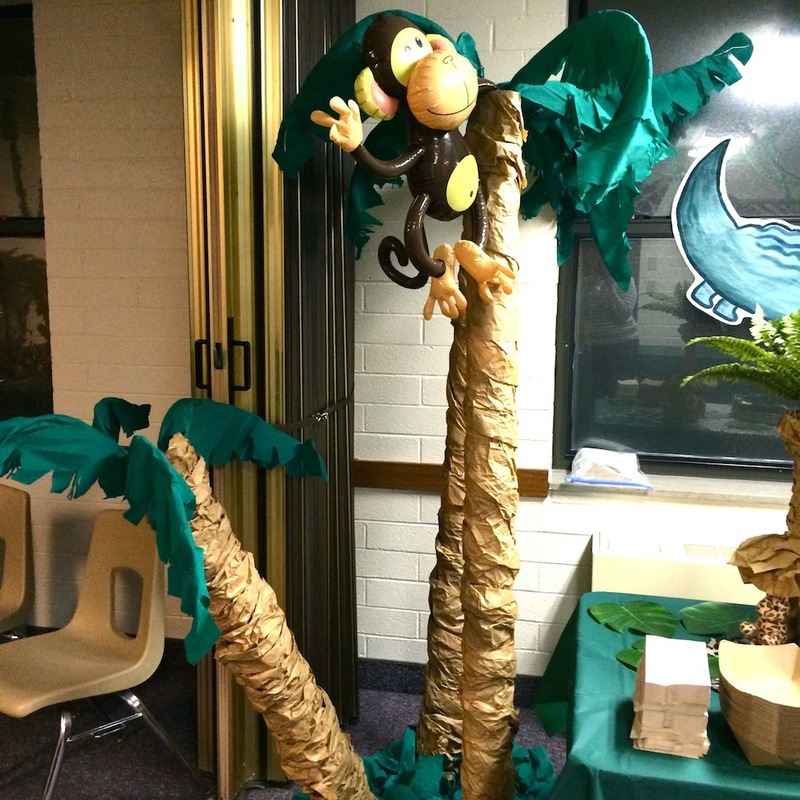 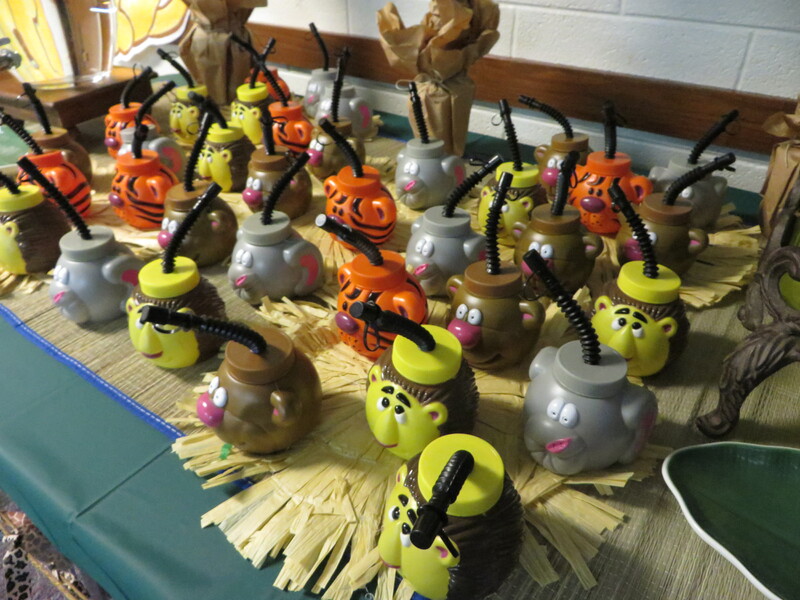 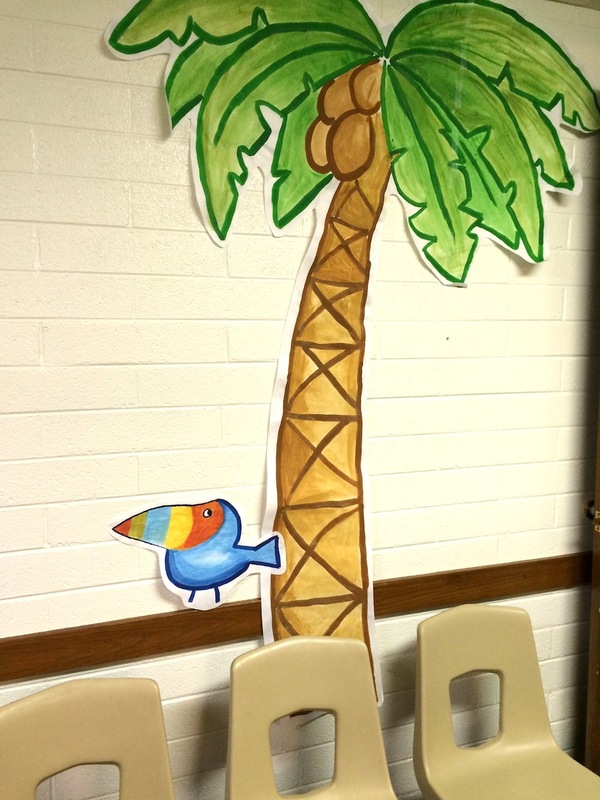 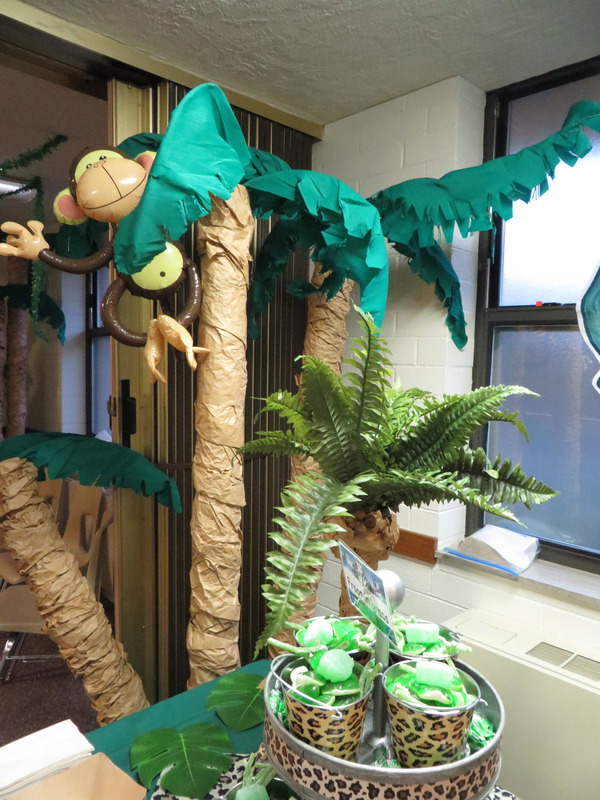 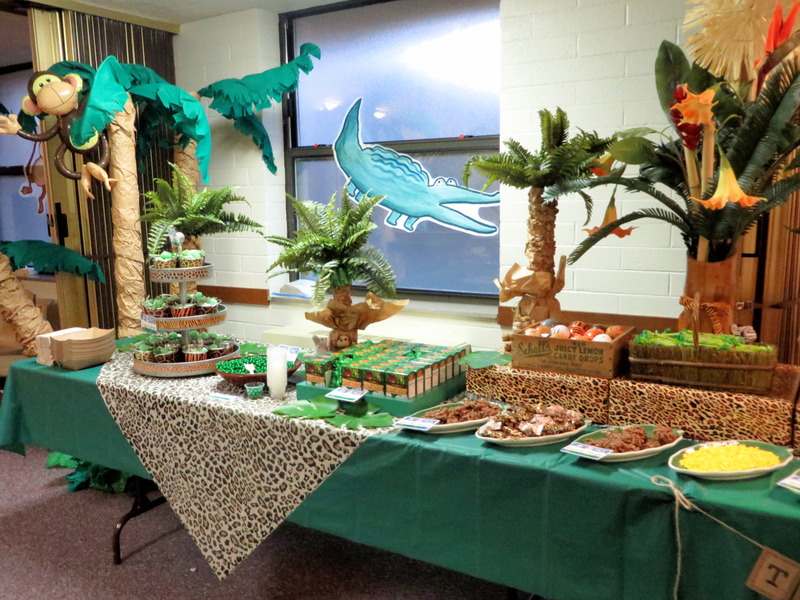 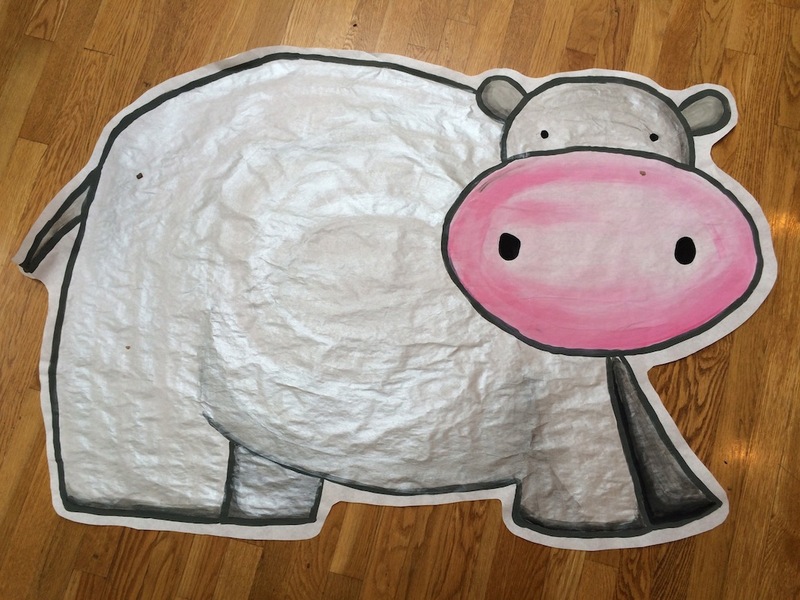 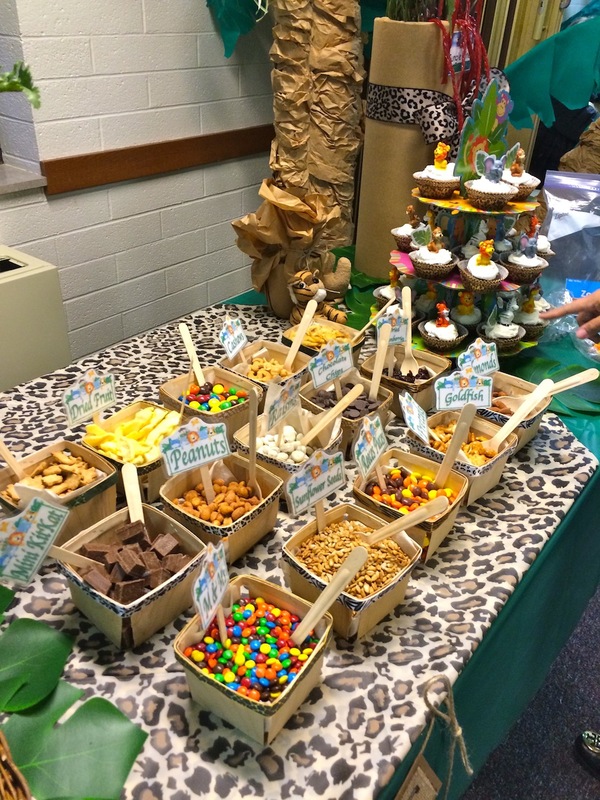 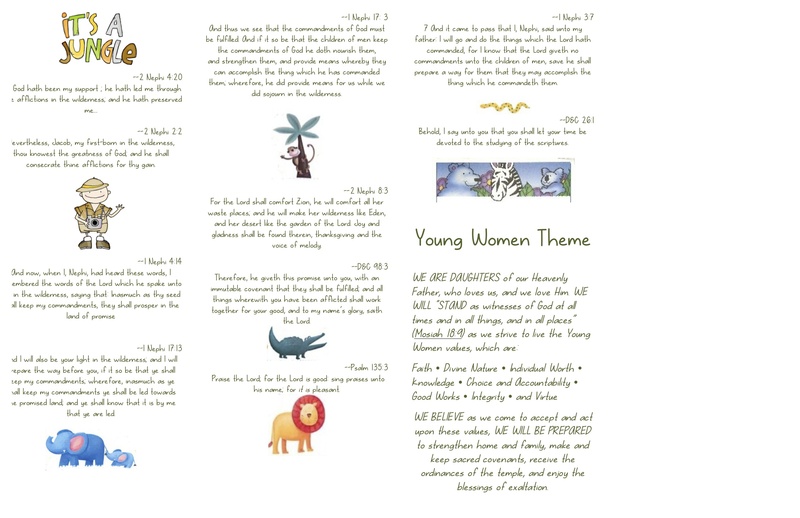 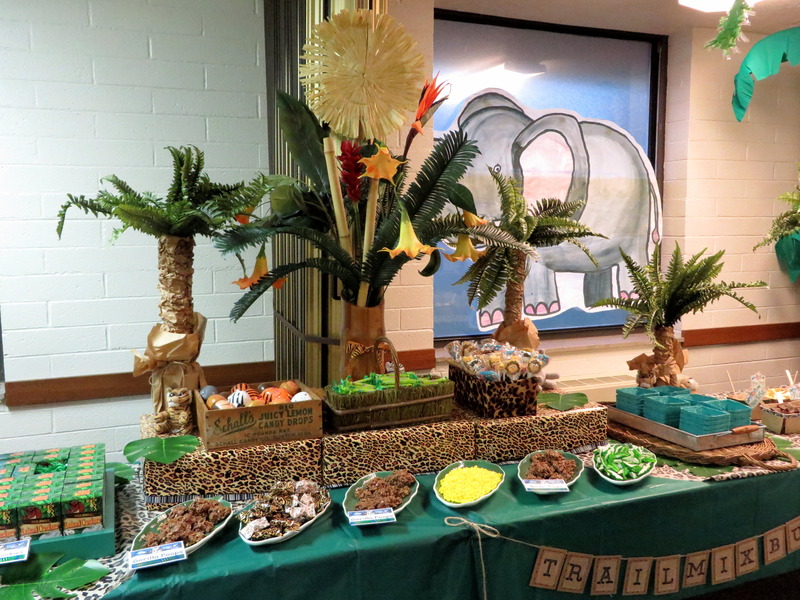 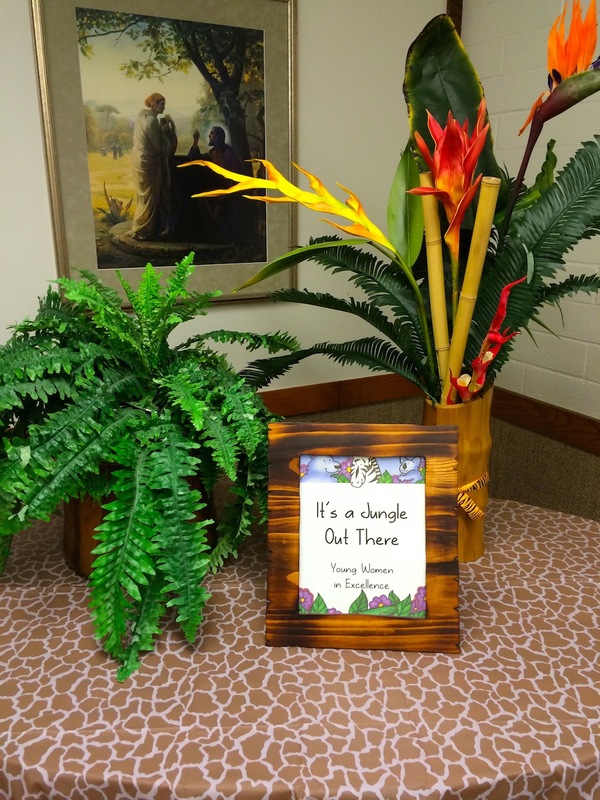 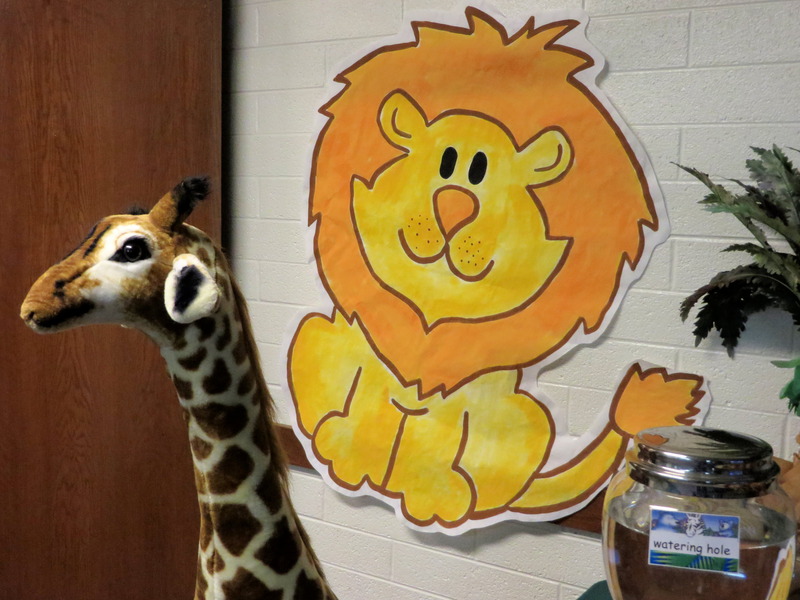 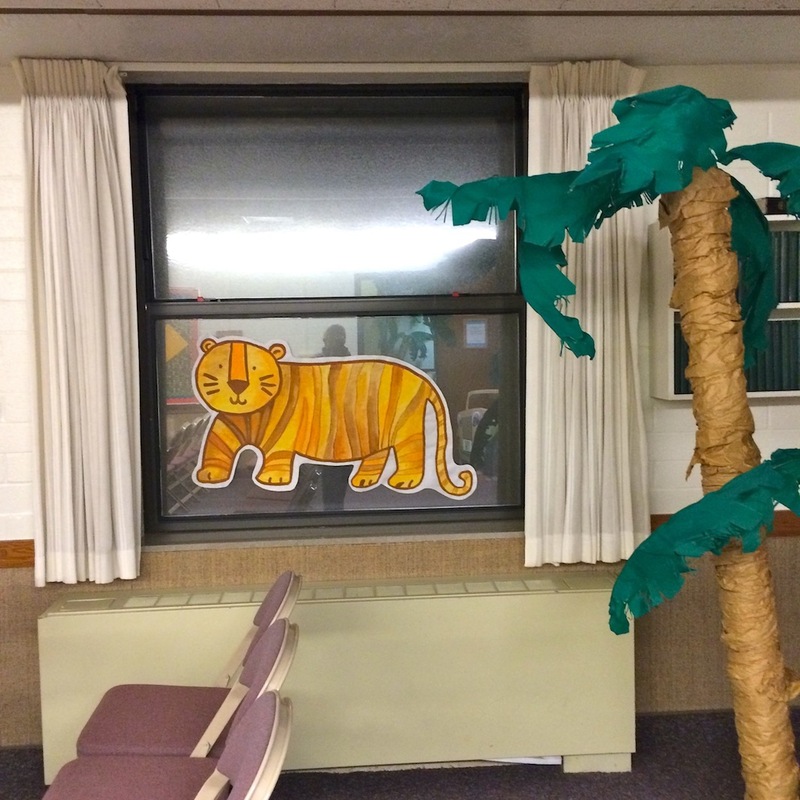 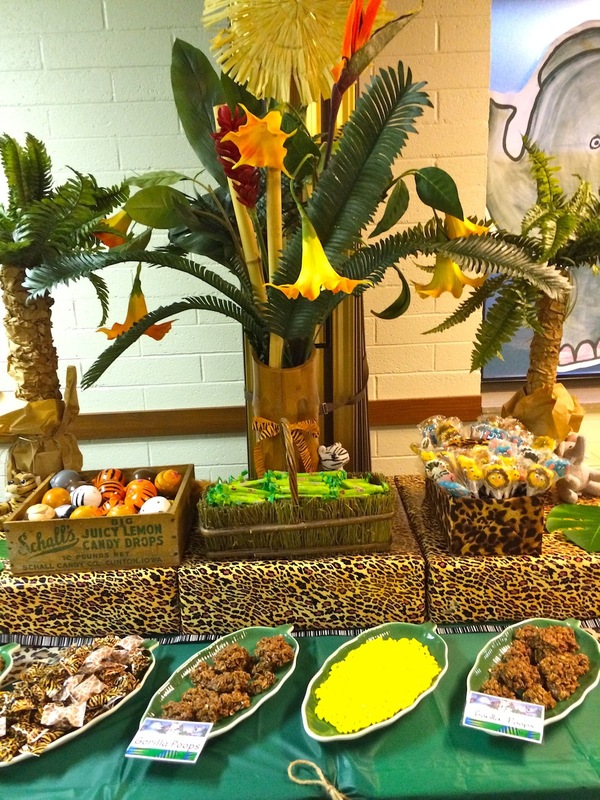 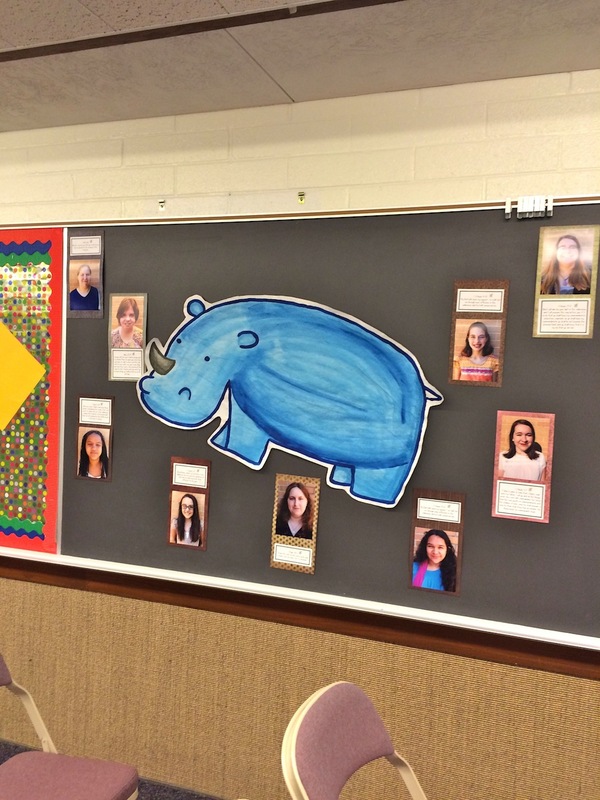 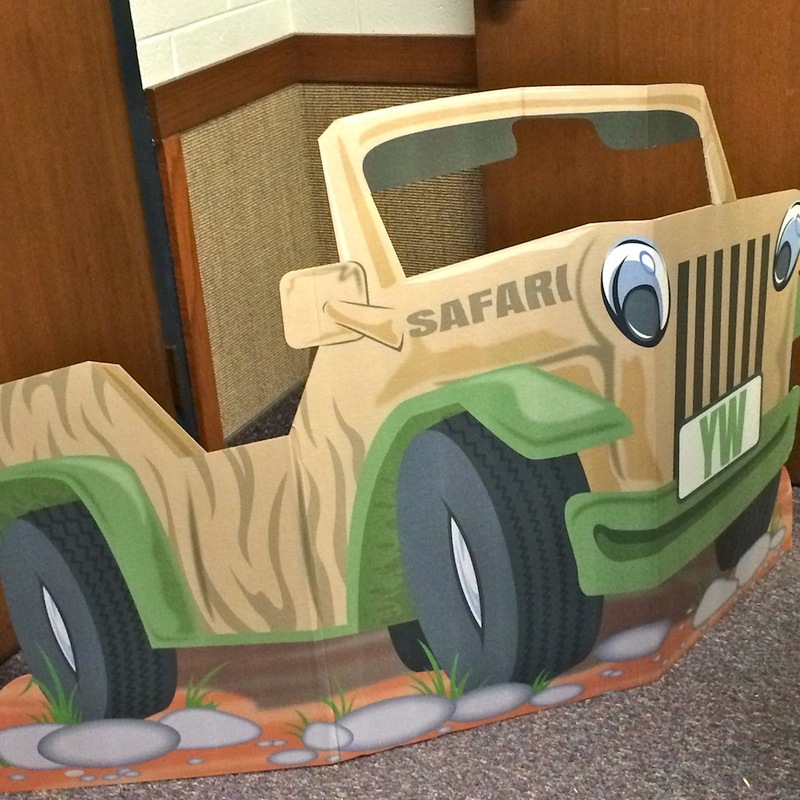 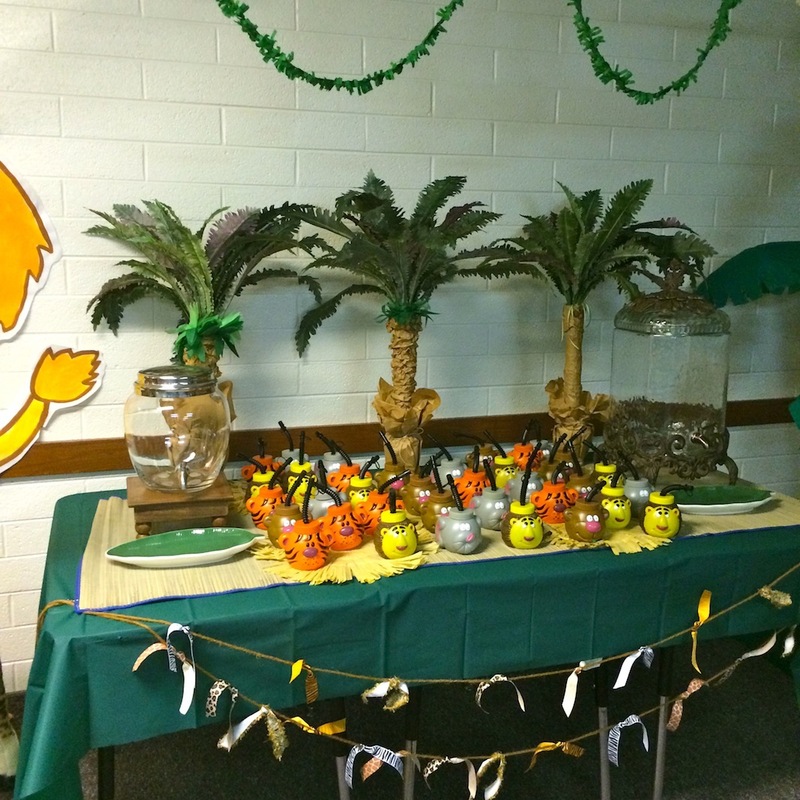 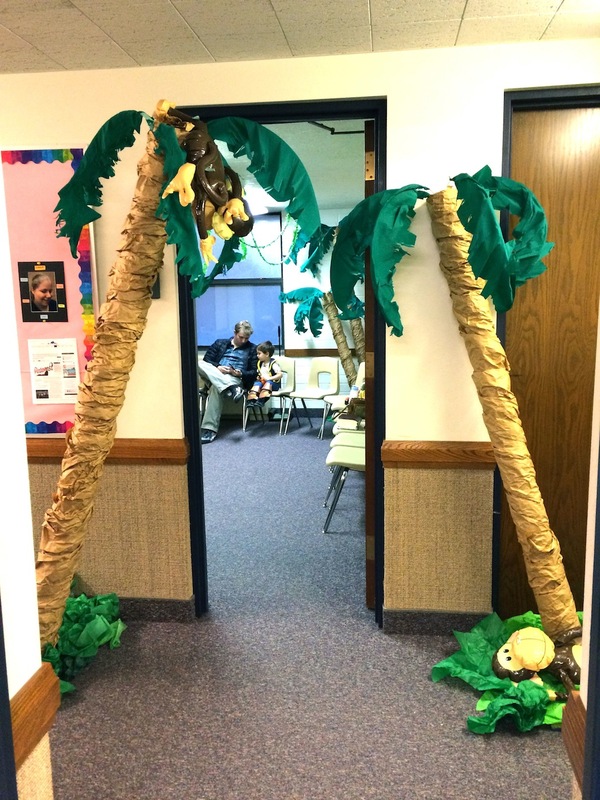 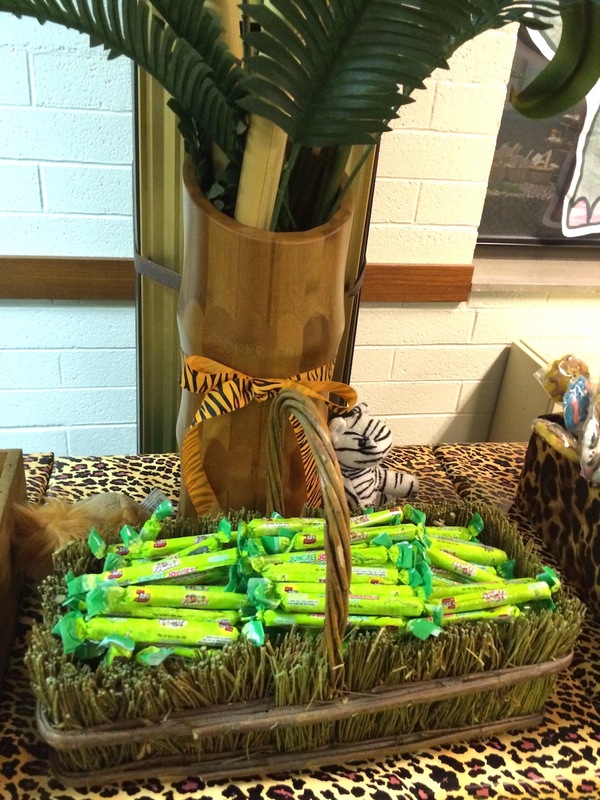 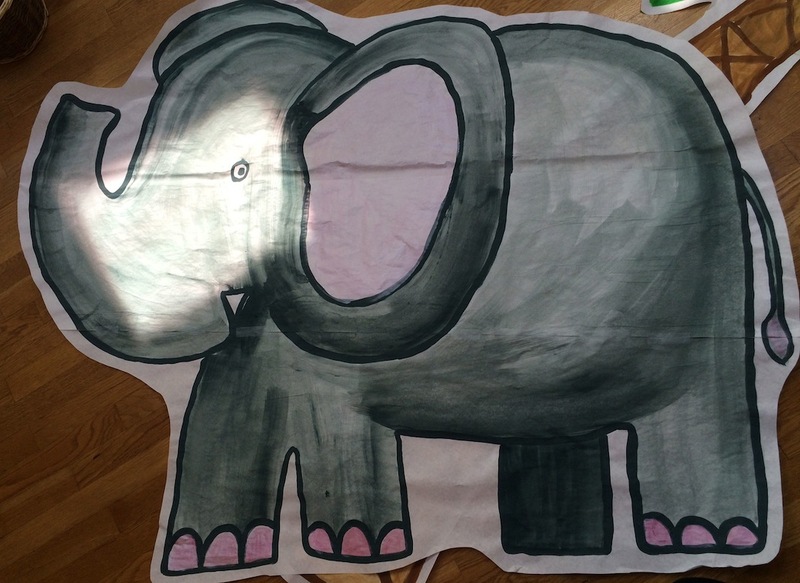 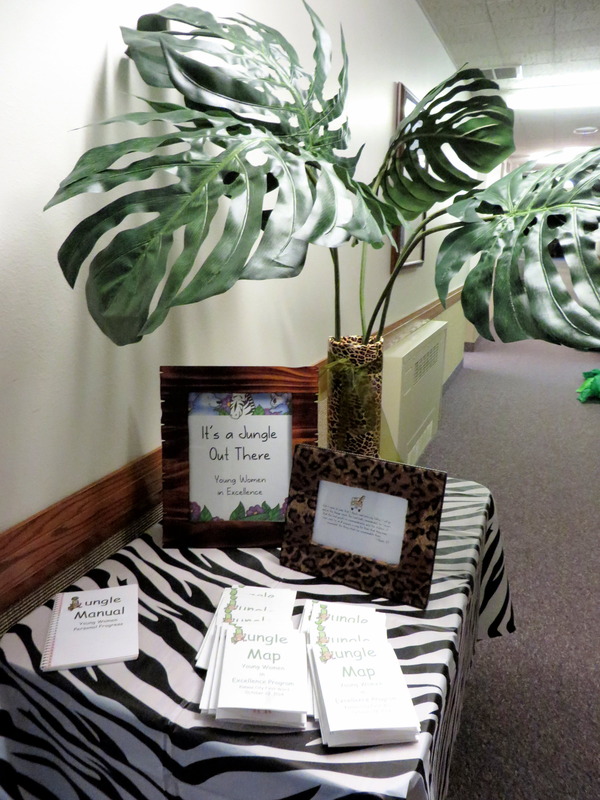 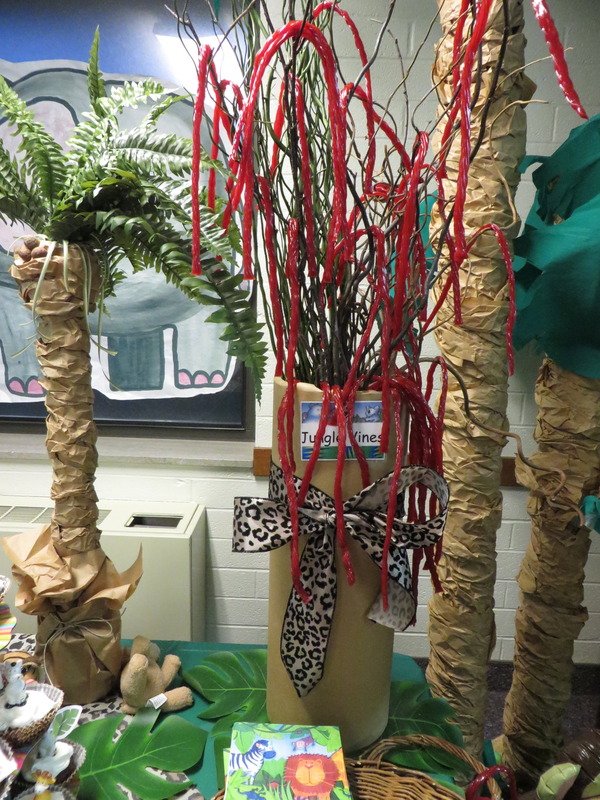 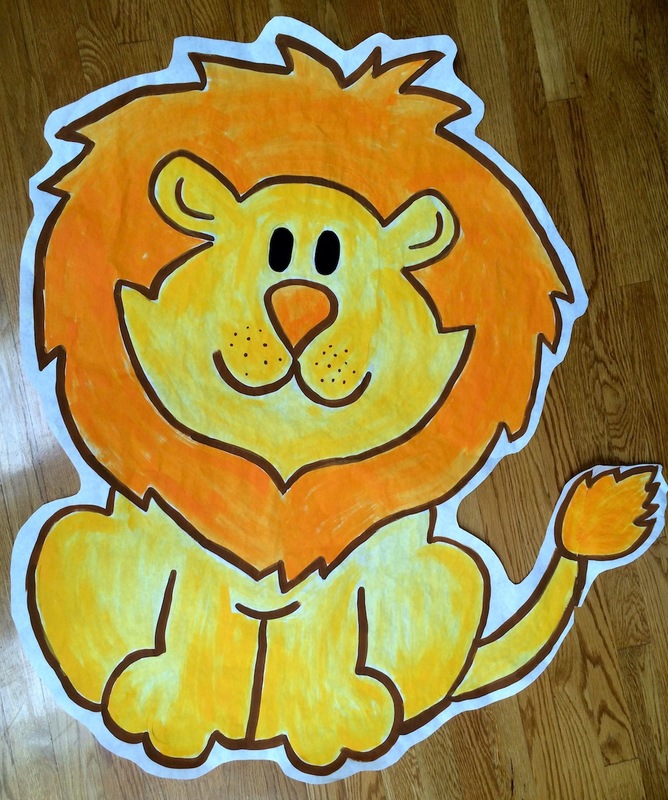 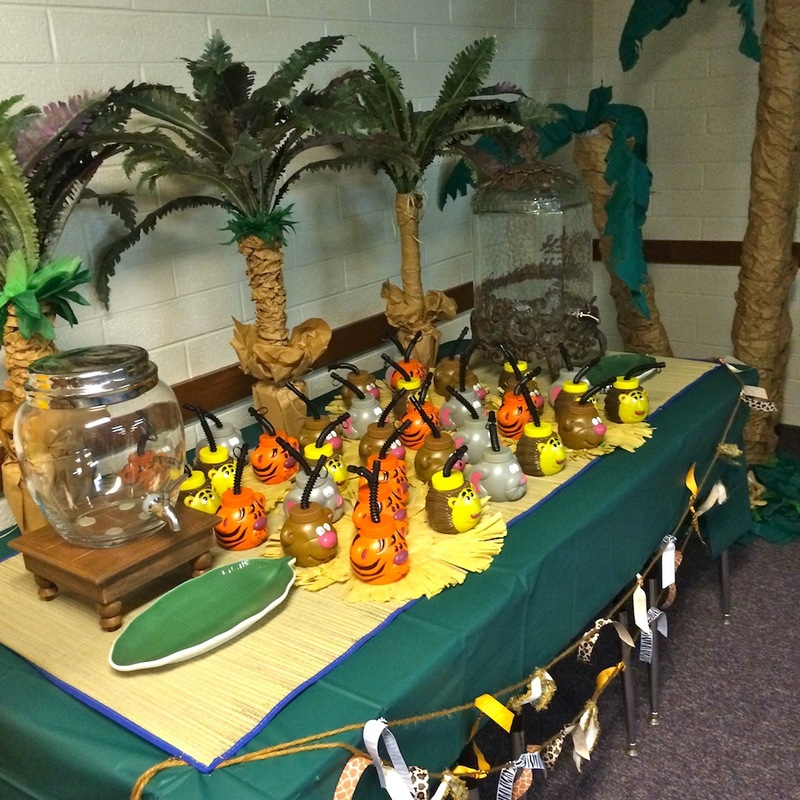 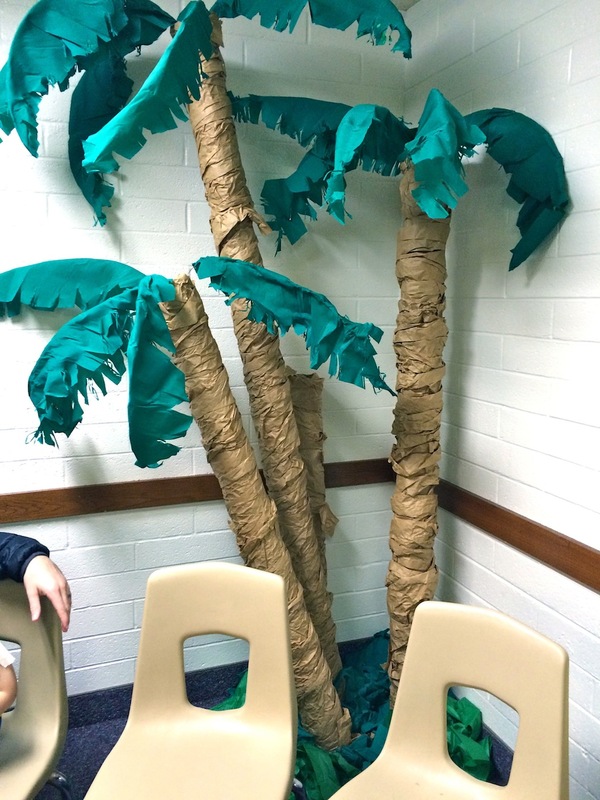 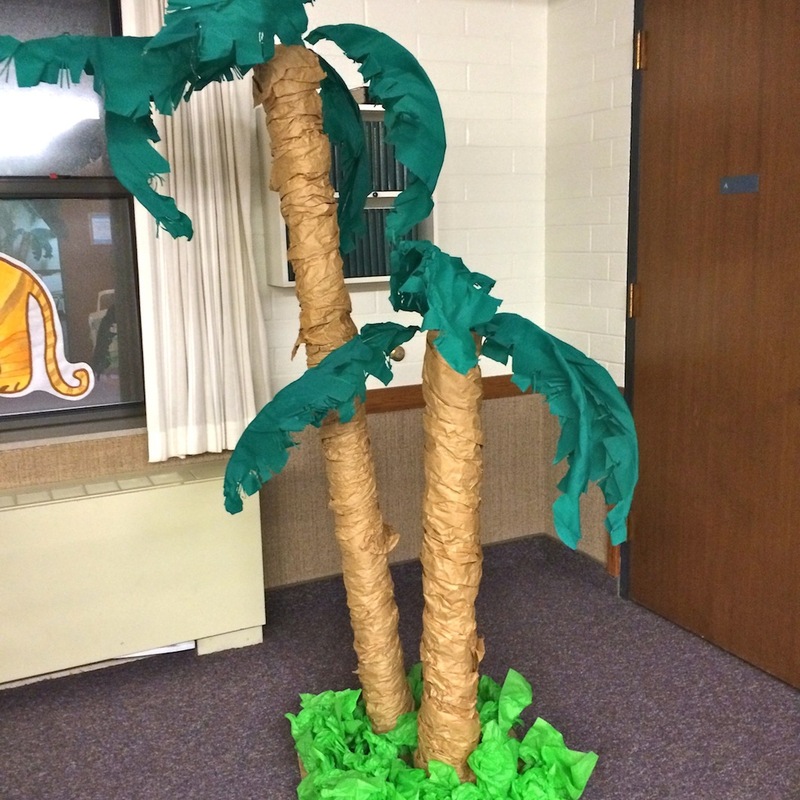 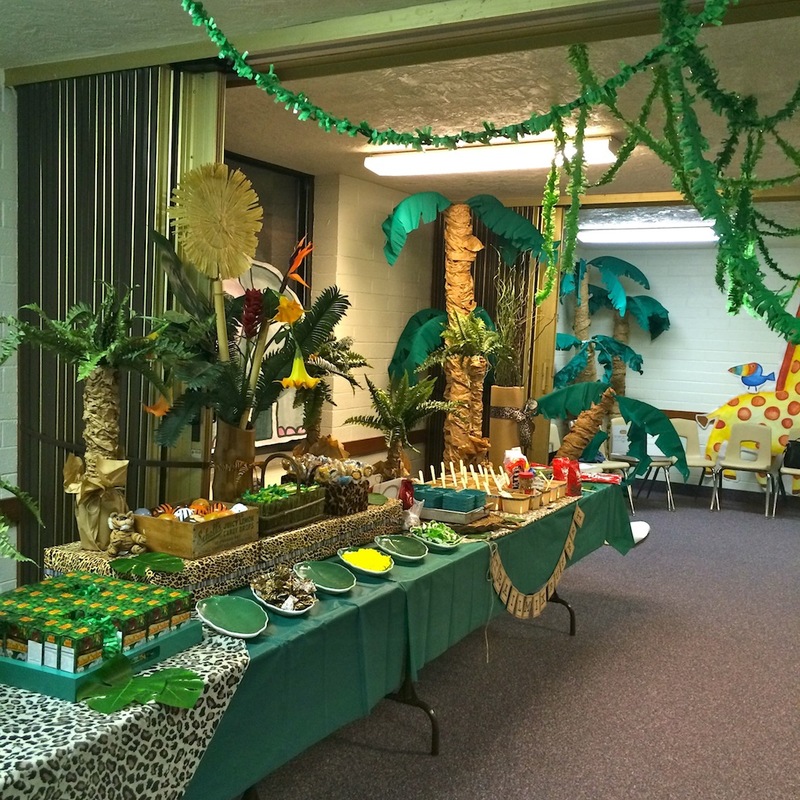 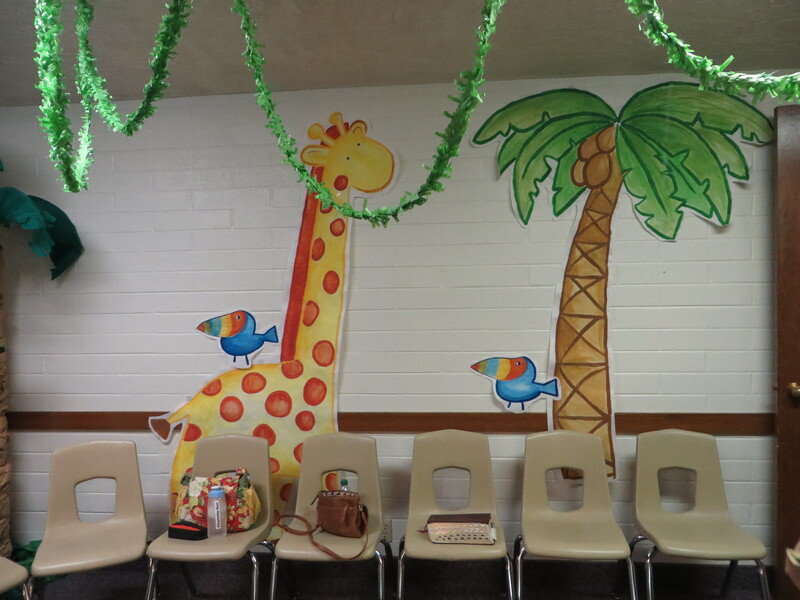 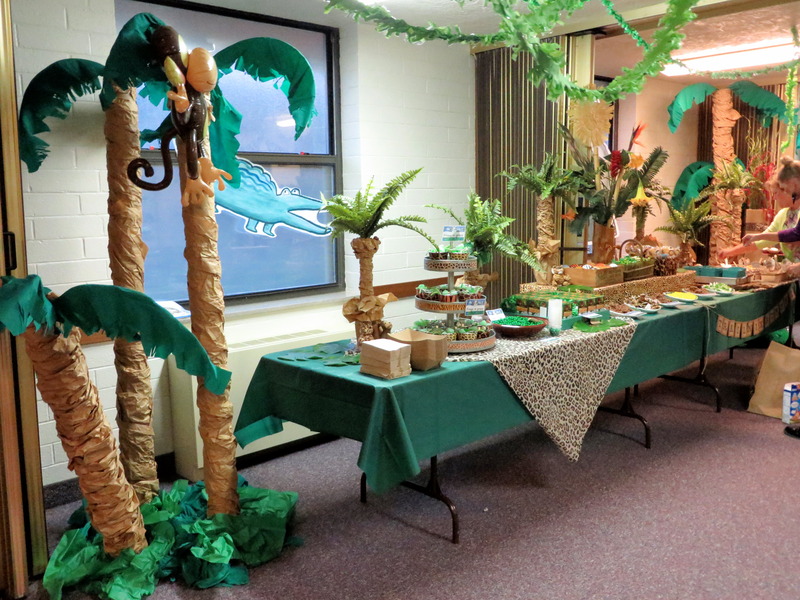 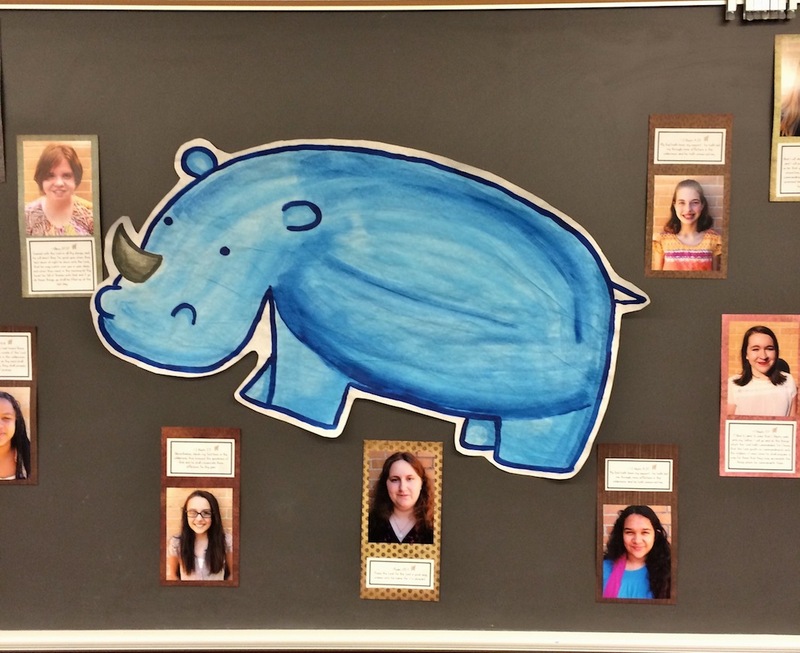 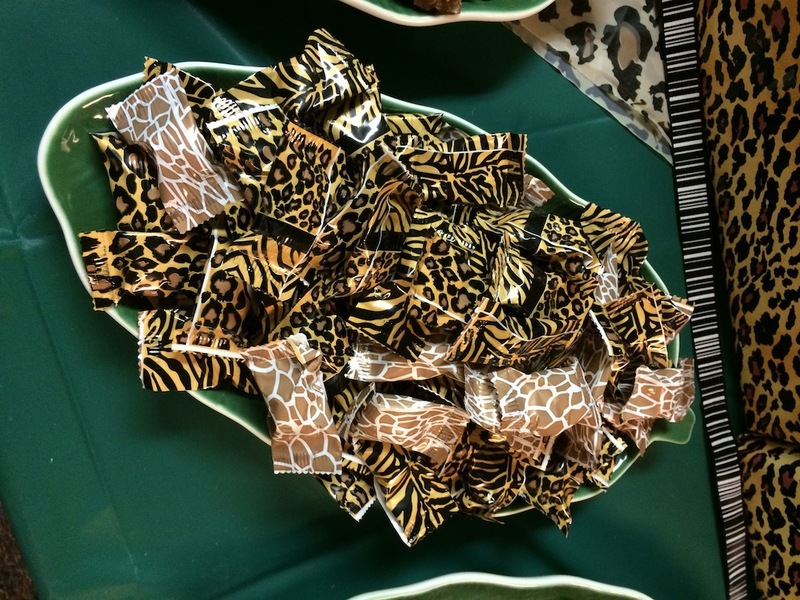 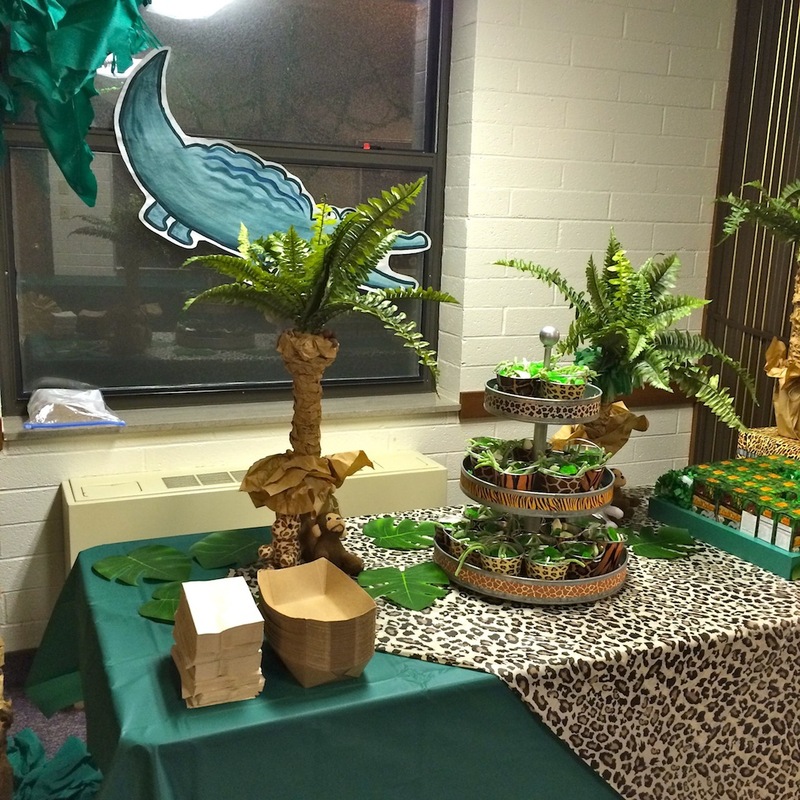 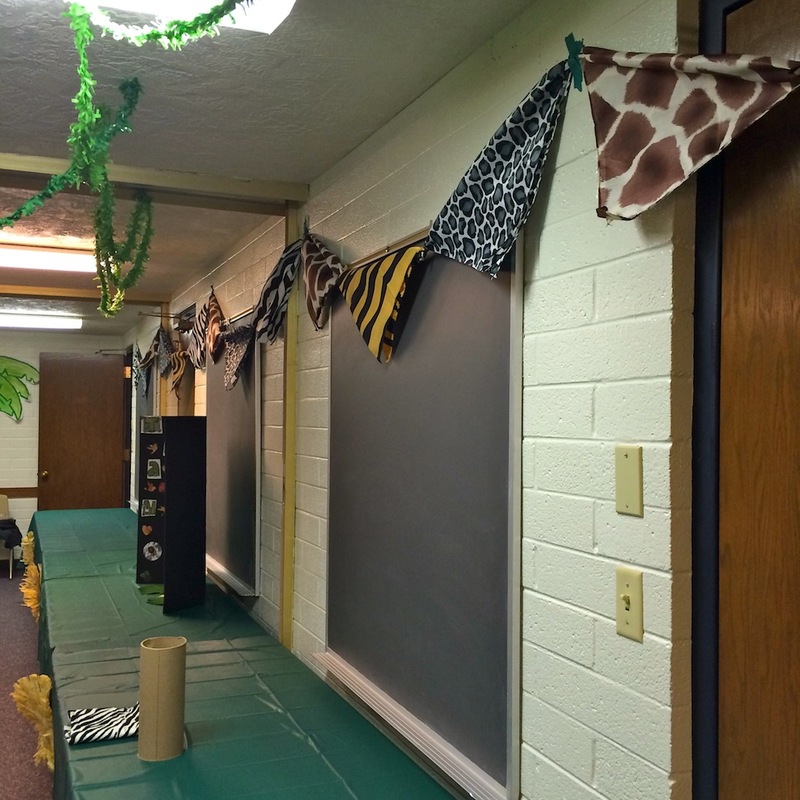 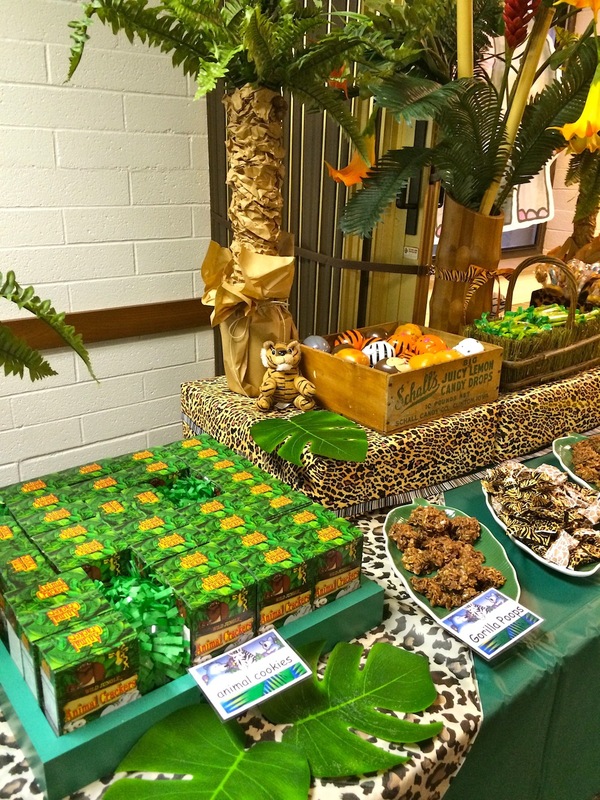 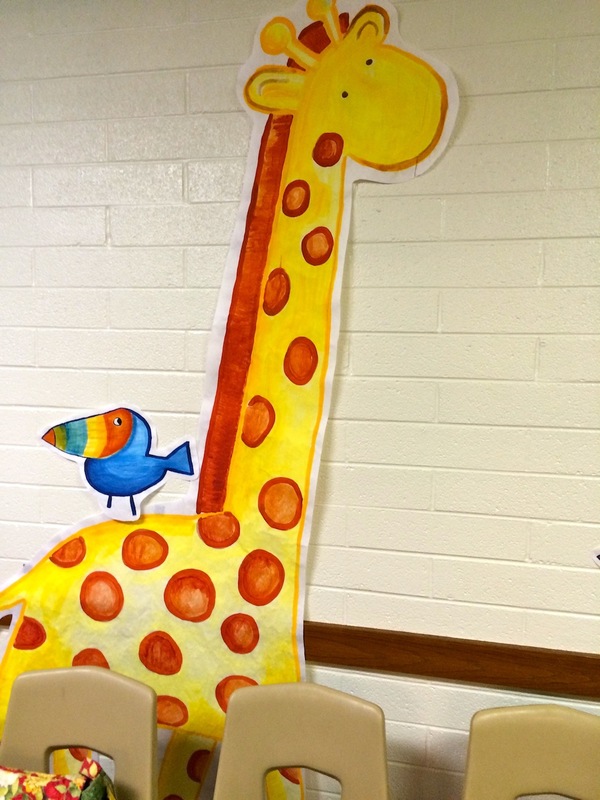 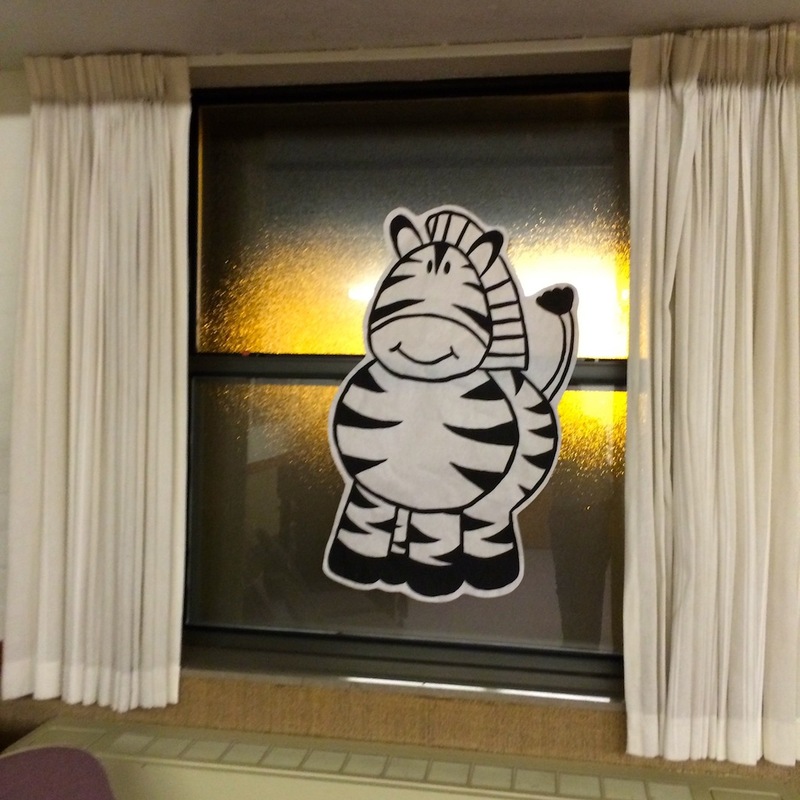 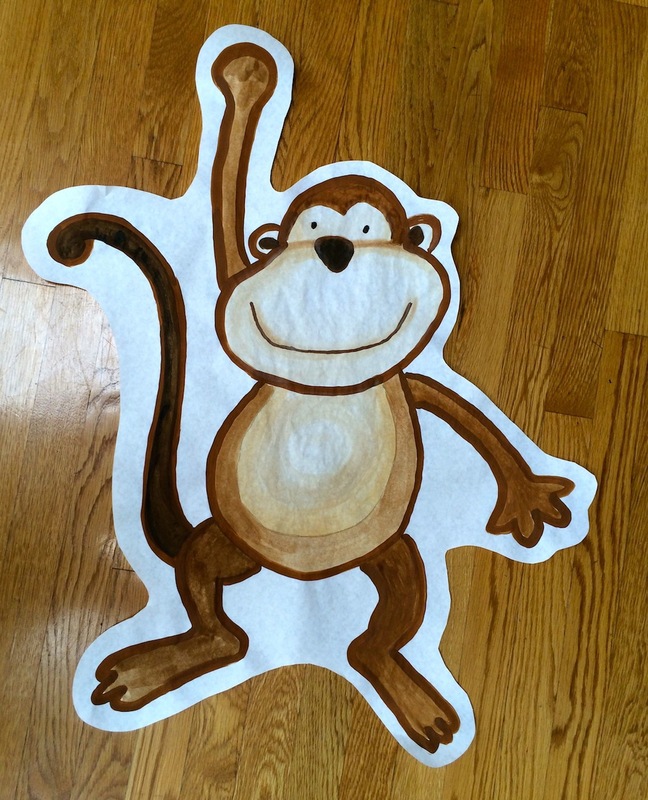 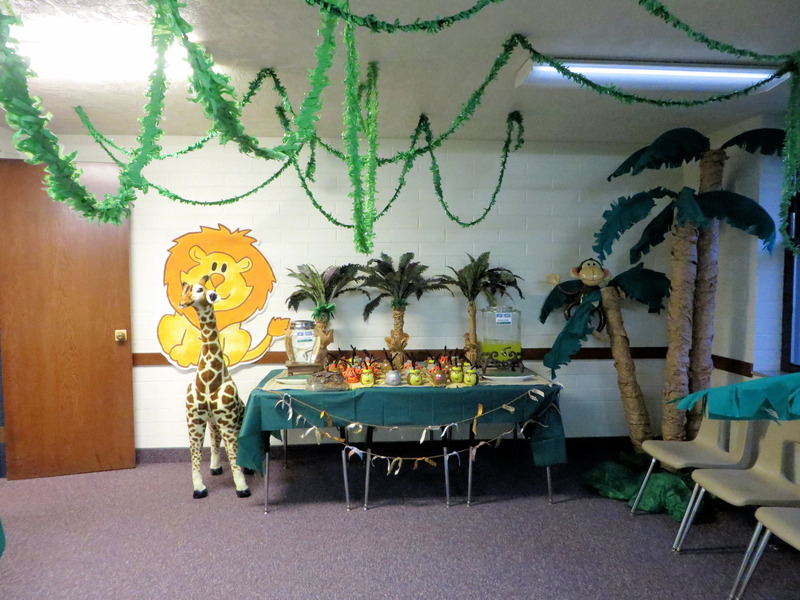 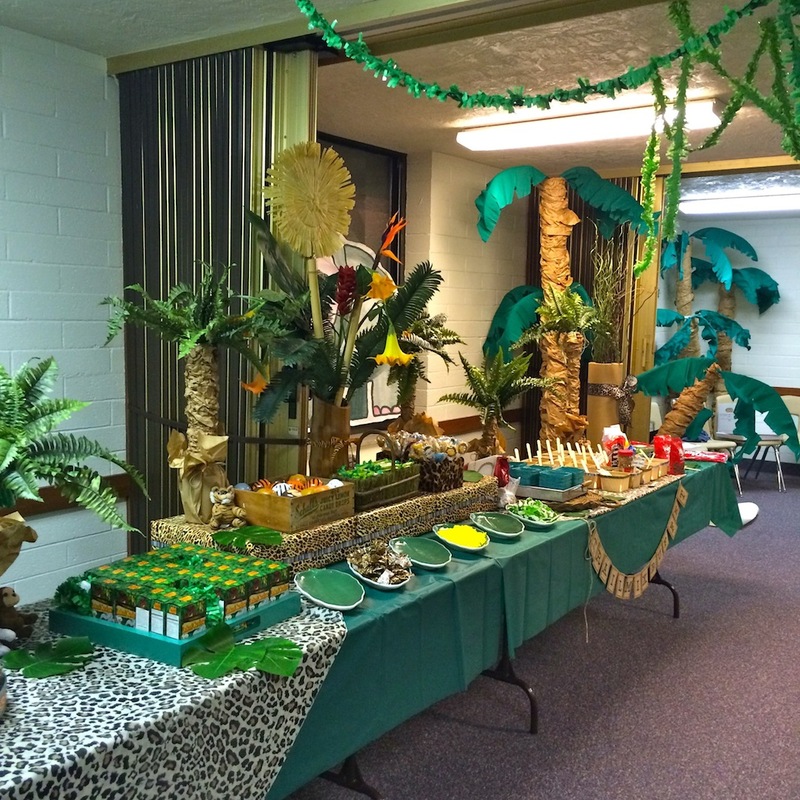 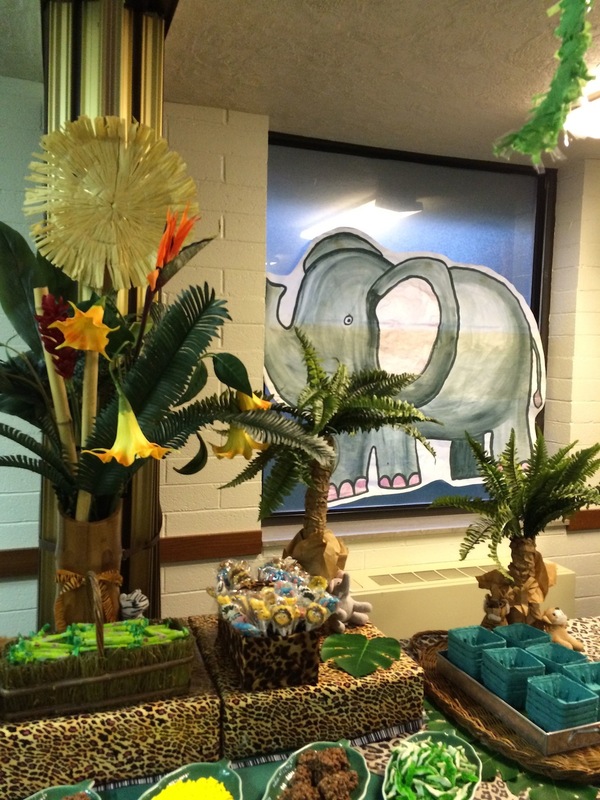 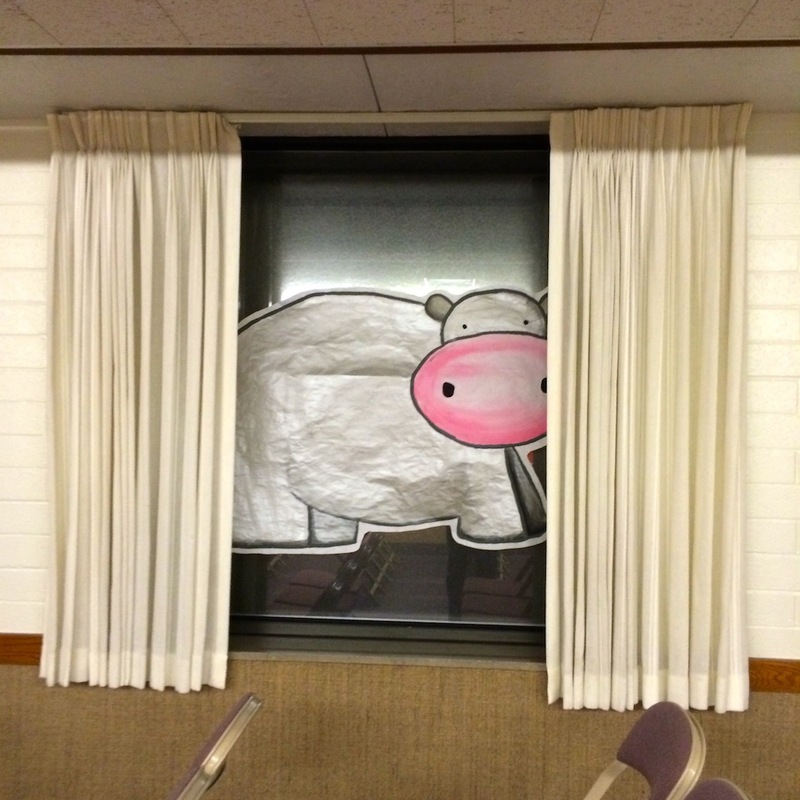 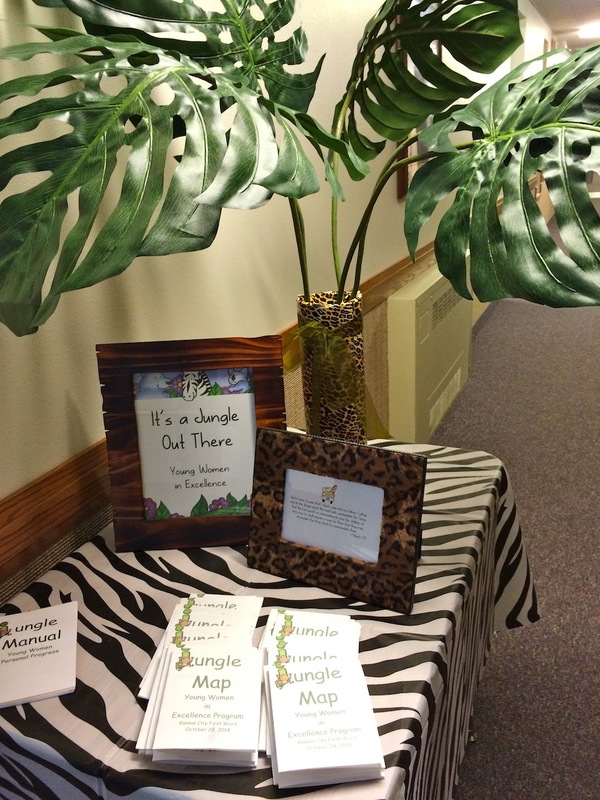 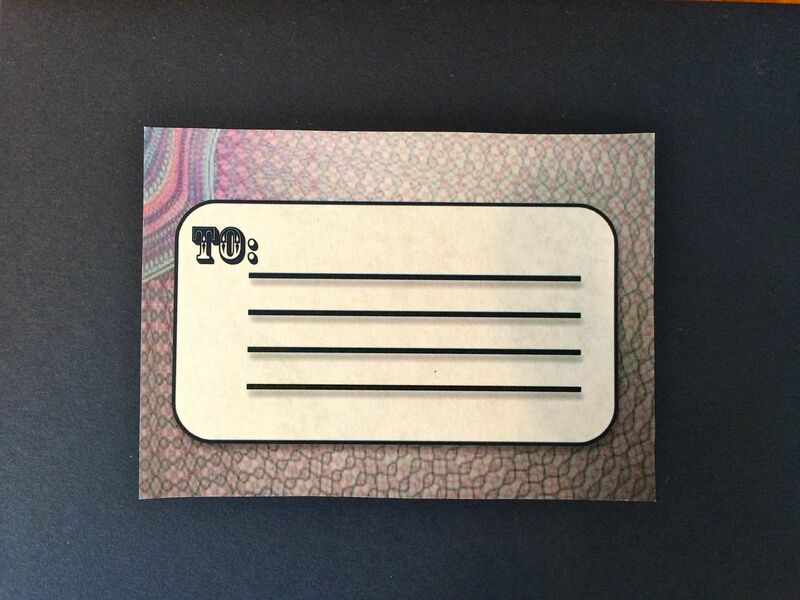 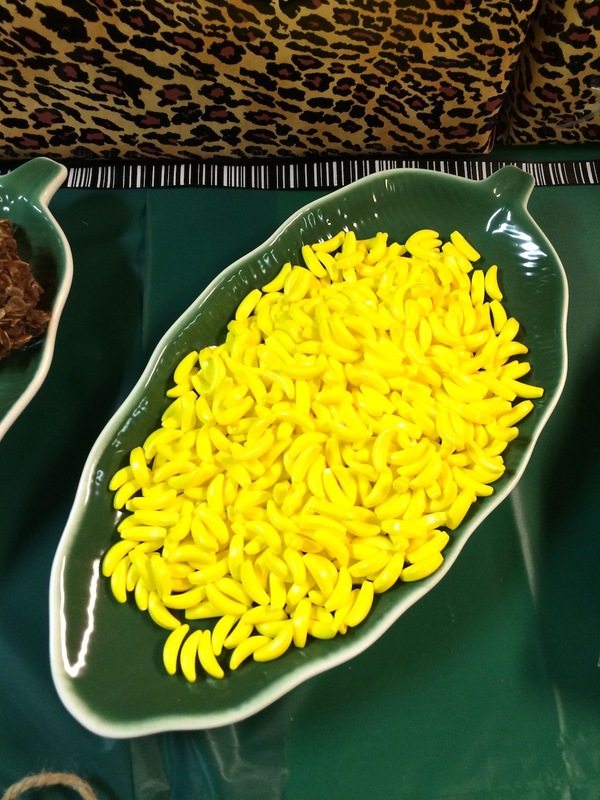 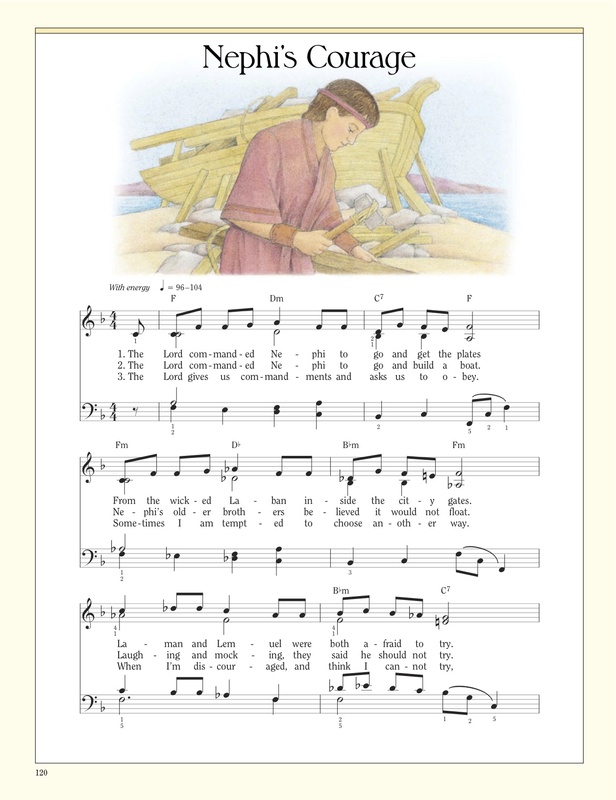 This entry was posted in Church, Young Women and tagged Church of Jesus Christ of Latter-day Saints, Jungle theme party, LDS, Mormon, New Beginnings, New Beginnings Program, Young Women in Excellence.